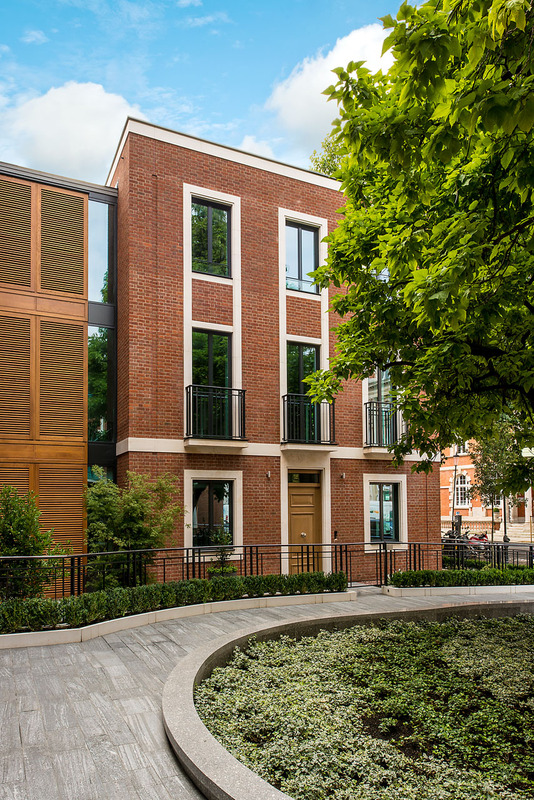 A new development of 17 exclusive apartments of outstanding architectural quality on one of the finest residential streets in Chelsea, discreetly located just off the King's Road. 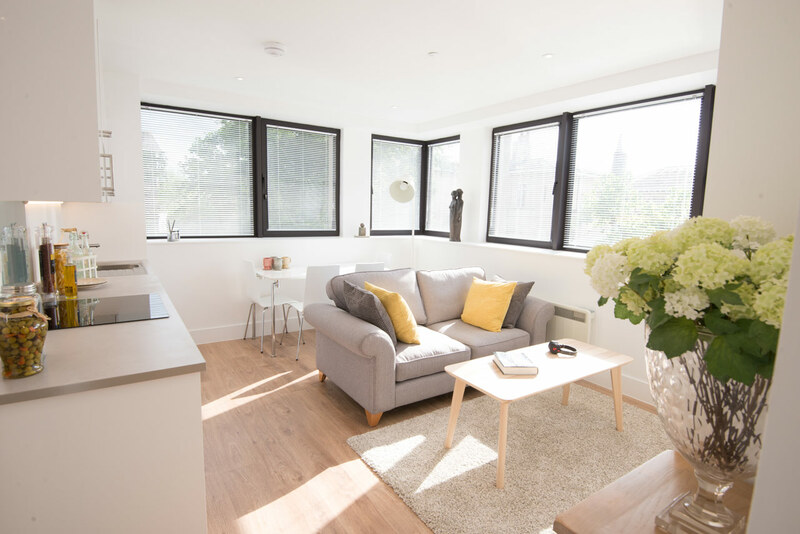 The apartments are constructed around an elegant courtyard garden accessed via a magnificent double height entrance hall with 24 hour concierge and security. 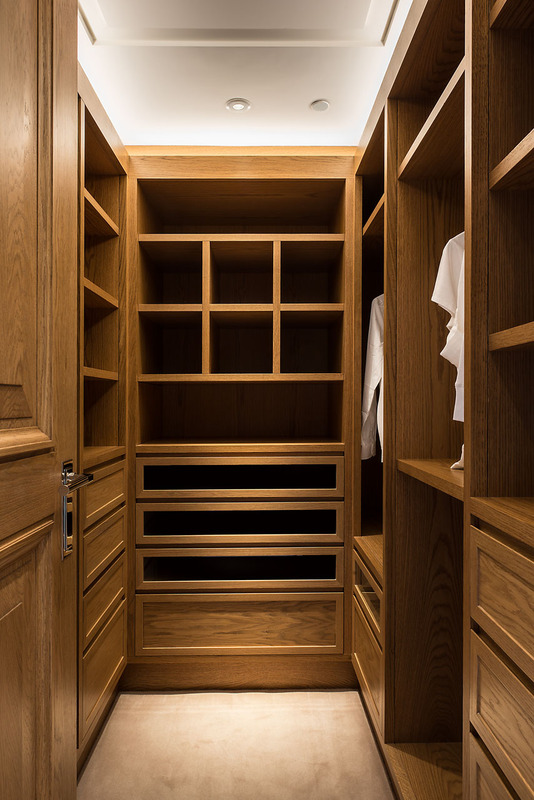 The 90,000 sq.ft building has the benefit of secure underground parking, storage lockers and a resident's gym, while signature interior design creates comfortable and luxurious living space with a specification combining technology and outstanding craftsmanship. 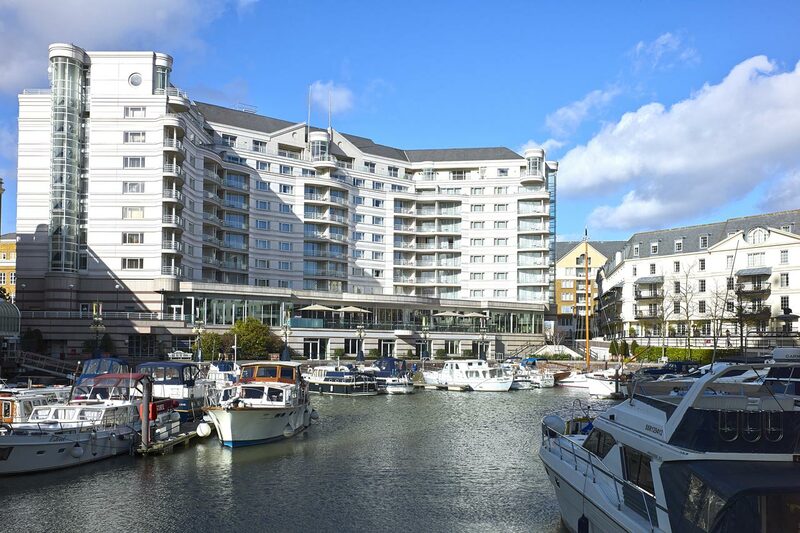 All apartments are now sold. 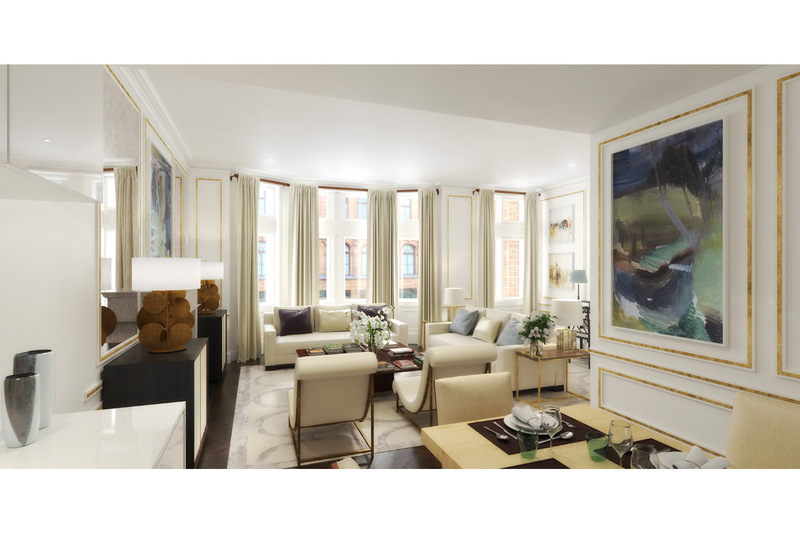 Dartmouth on behalf of their client Beaumont Properties Ltd achieved permission to build a luxury retirement apartment development on this prime site only a moment's walk from Harrods. 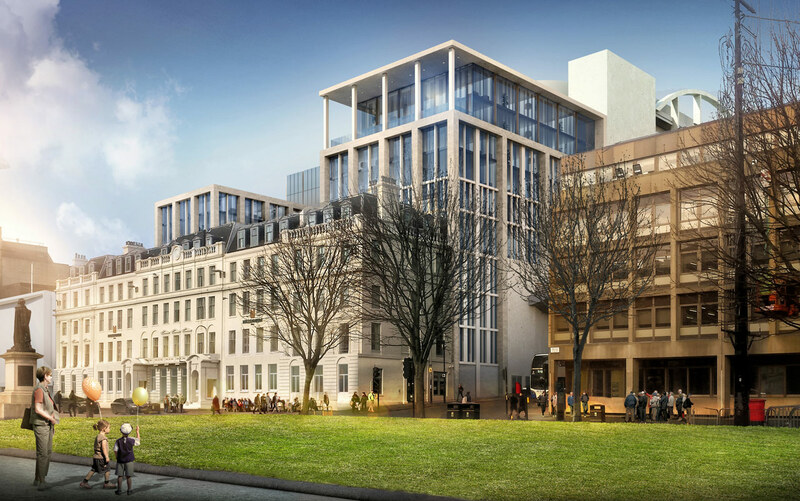 The seven-storey development will comprise 34 luxury two bedroom apartments with in-house spa, library, specialist nursing care and a private doctors surgery. 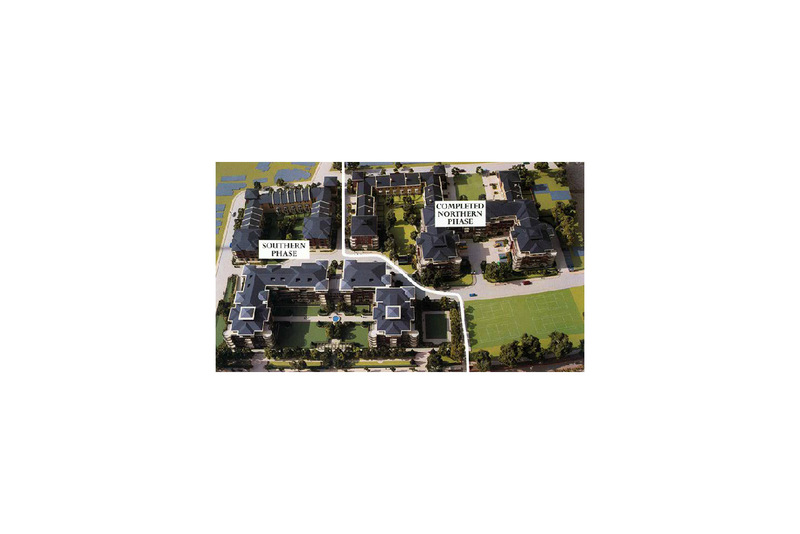 The development is due to commence in 2017. 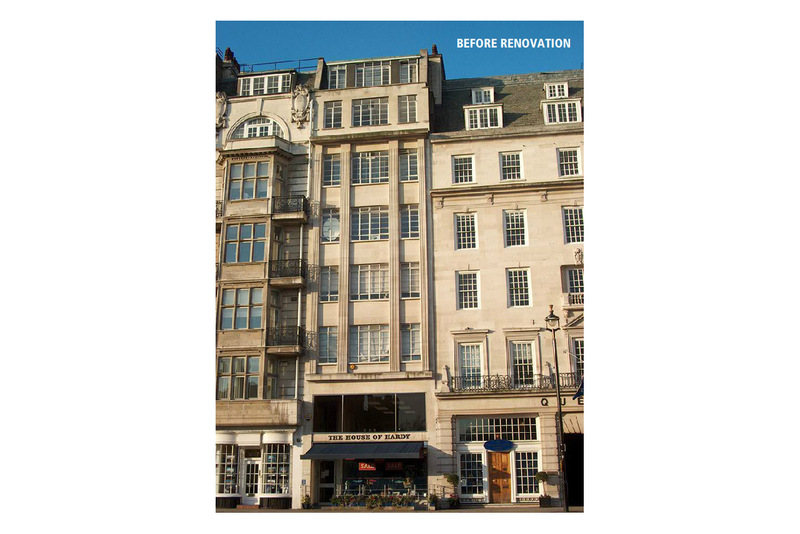 Dartmouth have consent to undertake a complete internal reconstruction of this magnificently located Knightsbridge property, directly opposite the world famous Harrods department store. 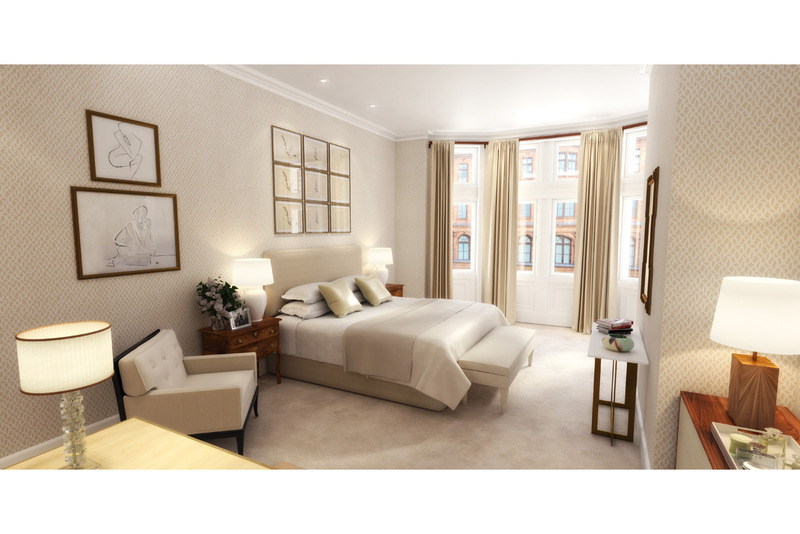 The residence will deliver 3 beautifully crafted, air comfort cooled 3 bedroom duplex apartments with a passenger lift serving all floors. 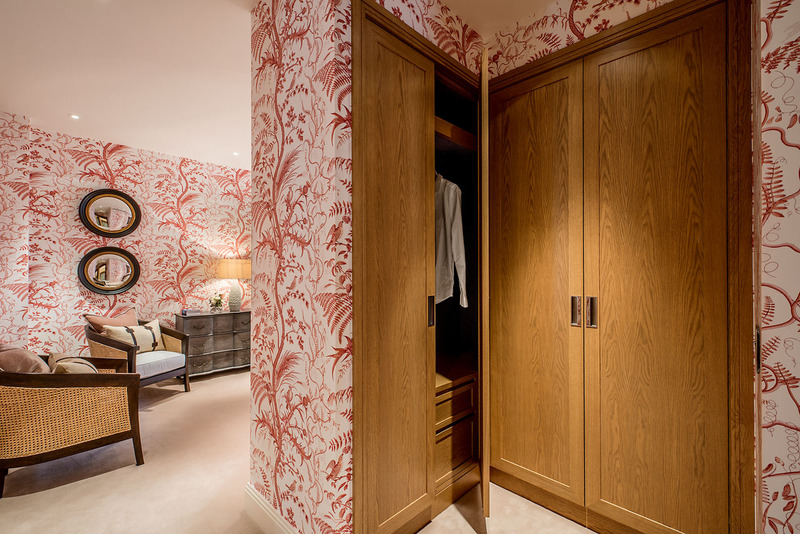 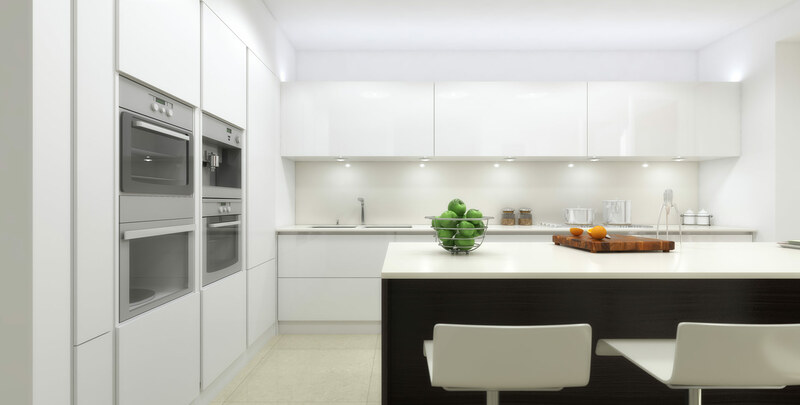 The design has focused on introducing as much light and volume space into all of the living areas and a contemporary high quality finish is to be incorporated throughout. 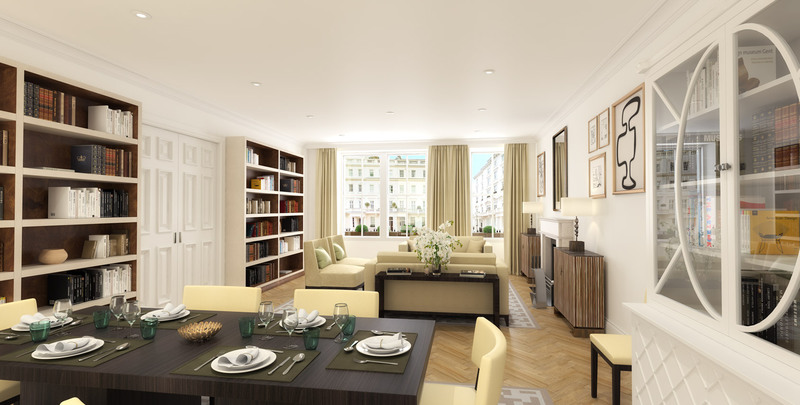 The apartments are to be offered on new 999 year leases with a share of the freehold. 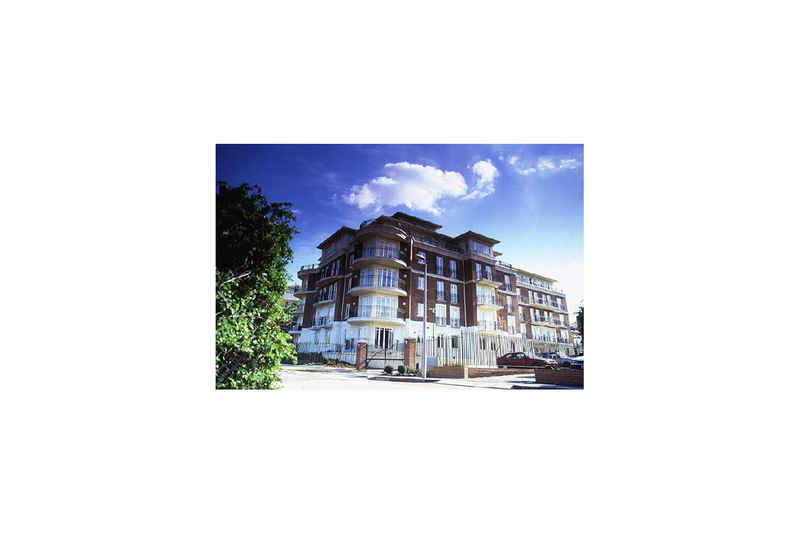 Construction will shortly commence to build eight two/three bedroom apartments with a top level penthouse. 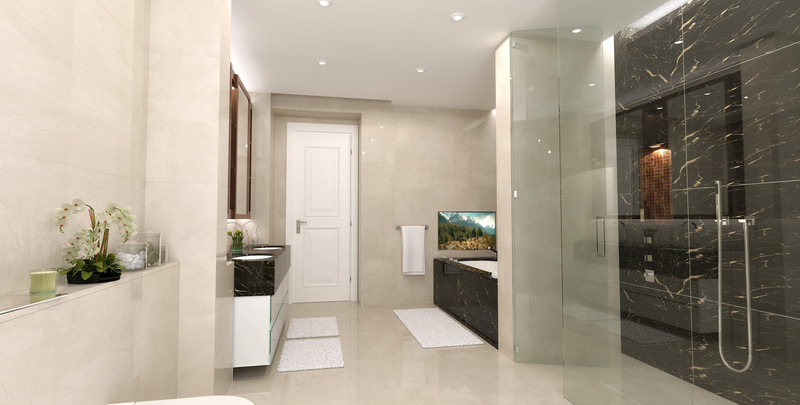 The build will be of the highest quality specification and fully air conditioned. 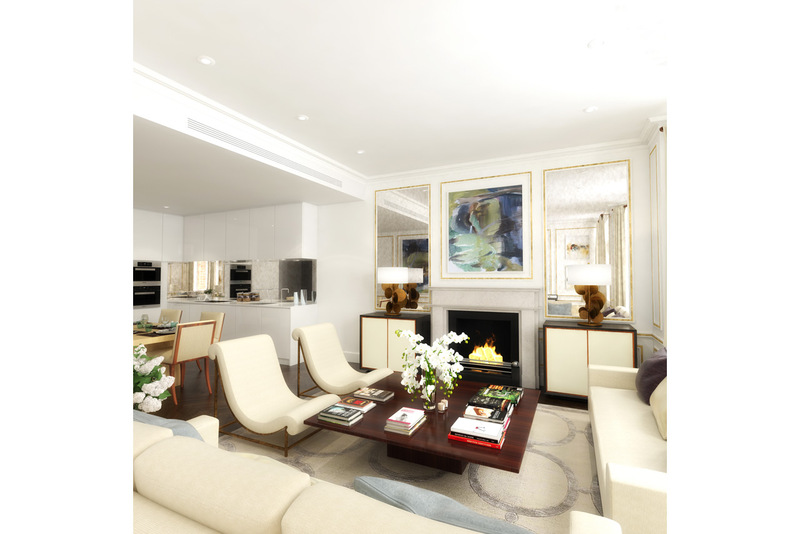 The emphasis of the design is to create light and spacious living space in one of London's most popular residential locations in the heart of Chelsea Village, a few metres from the Kings Road, opposite the Chelsea Farmers Market. 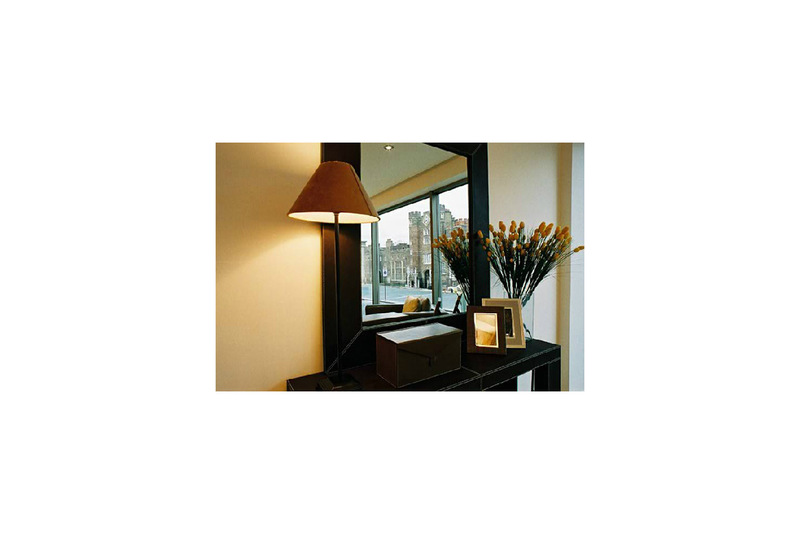 The apartments are offered with long leases. 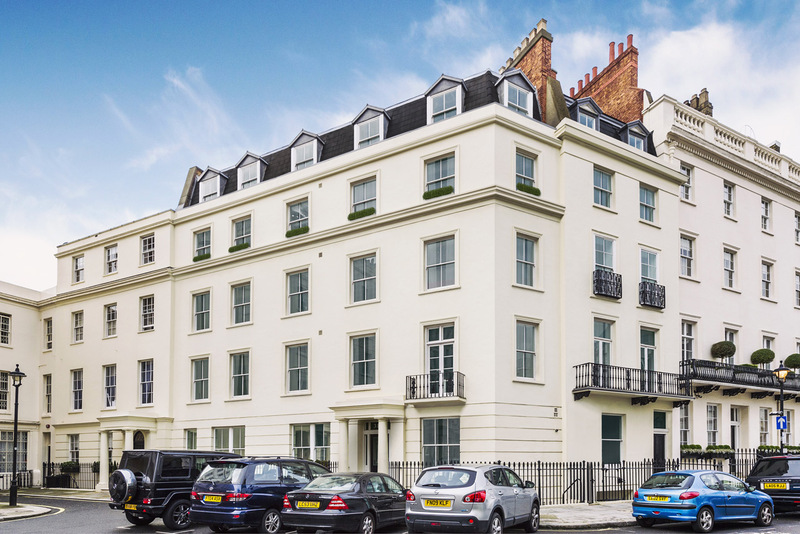 Dartmouth are currently advising upon the complete restoration and refurbishment of this magnificently located freehold property in Chesham Street in the heart of Belgravia. 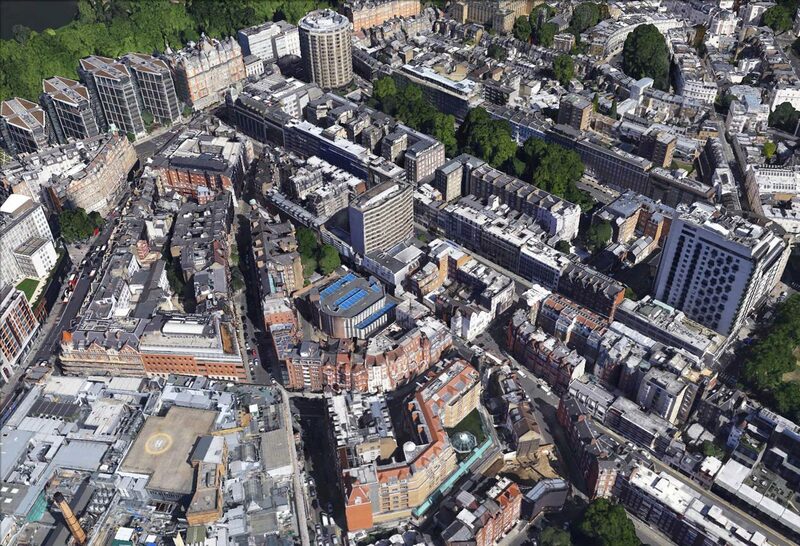 The situation of the property is unique to the street in that the majority of the scheme's front windows have an unobstructed southerly aspect down Eaton Place to Eaton Square. 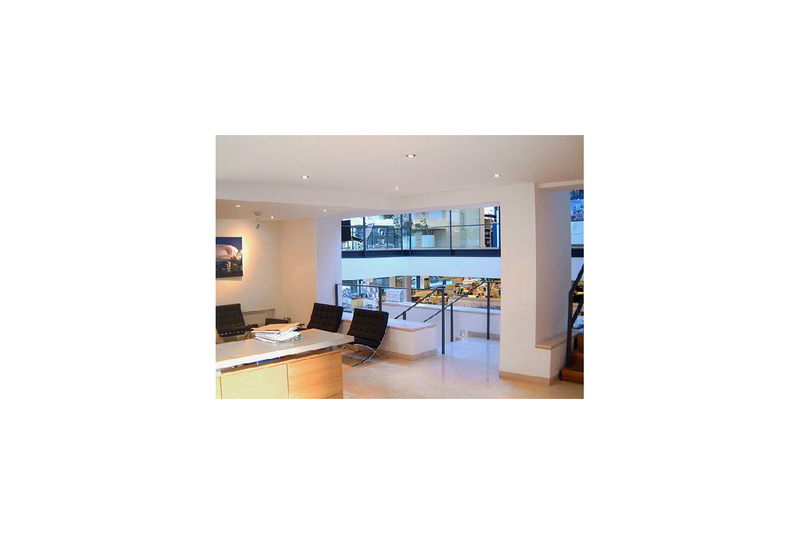 In addition the rear windows enjoy unobstructed northern light making for bright and spacious living space. 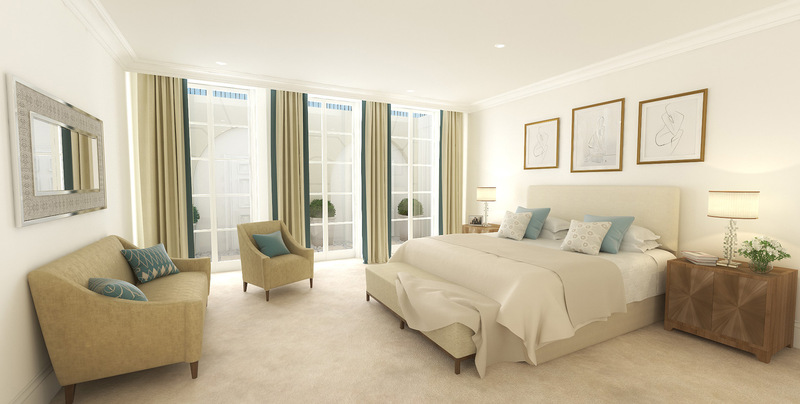 The residence will deliver 6 air conditioned, 3 bedroom. 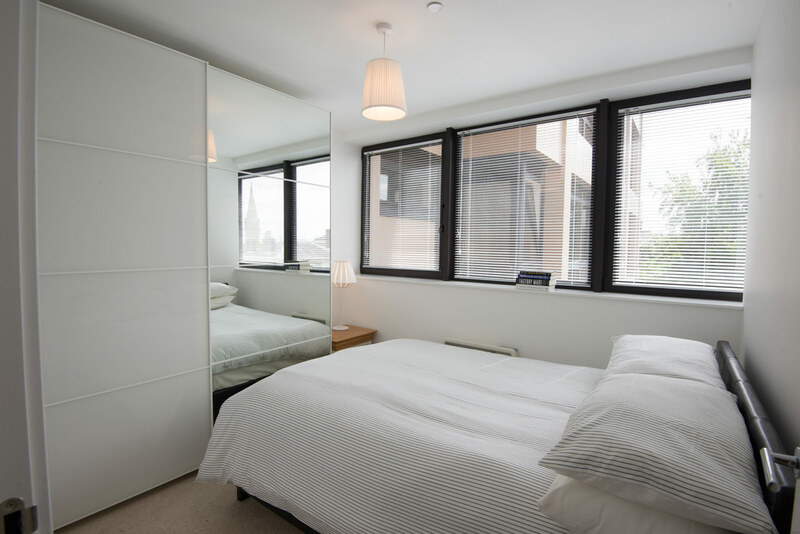 lateral apartments and duplexes, all built to the highest specification. 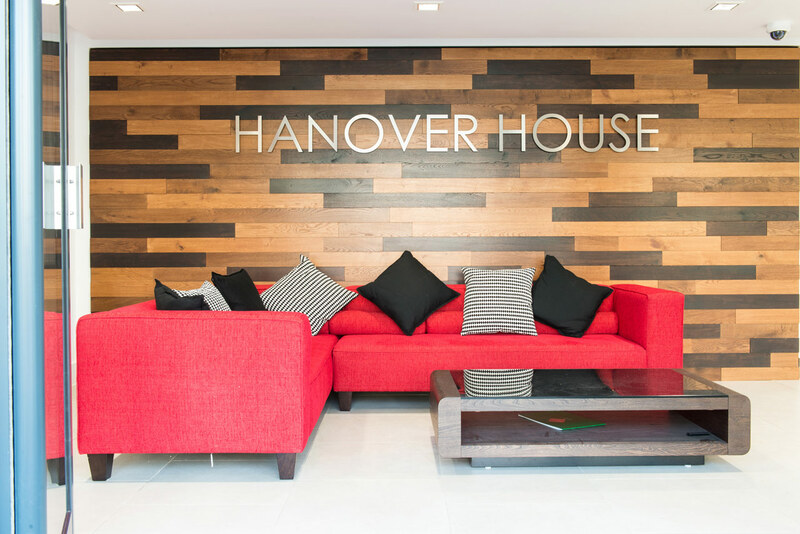 Hanover House is an imposing building measuring approximately 32,000 sq ft over seven upper floors with 57 car parking spaces and was acquired in 2014 to exploit the opportunity for converting the property to residential under the Permitted Development rules. 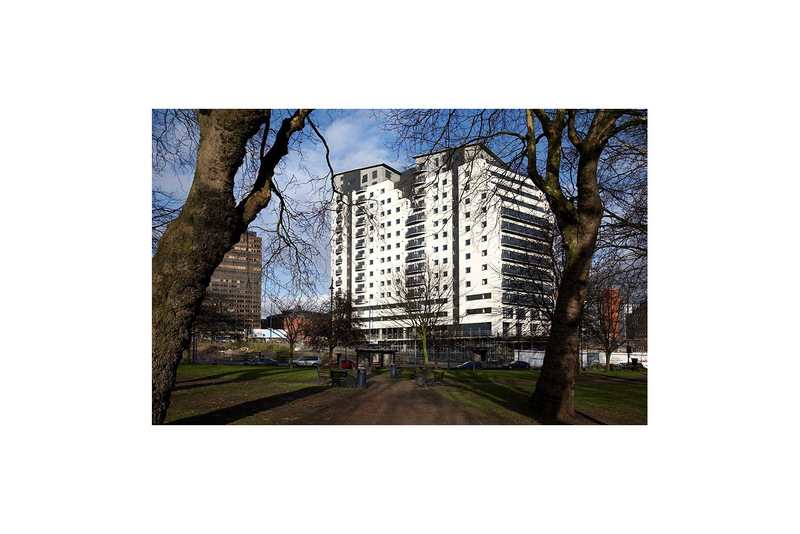 Consent has been obtained for a residential scheme comprising of 82 flats. 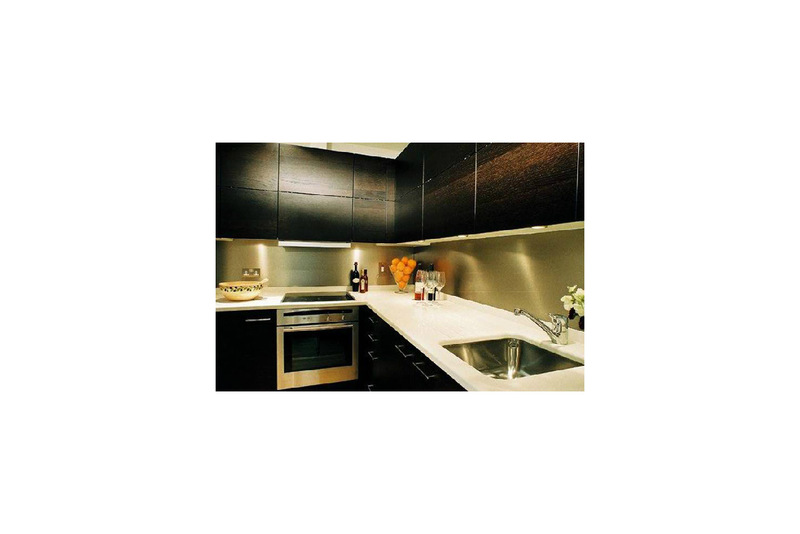 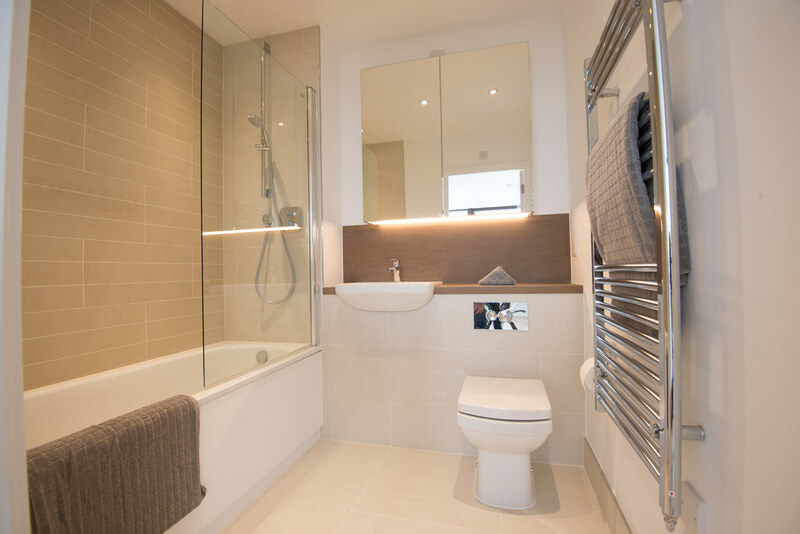 The apartments will be completed to a contemporary high quality specification. 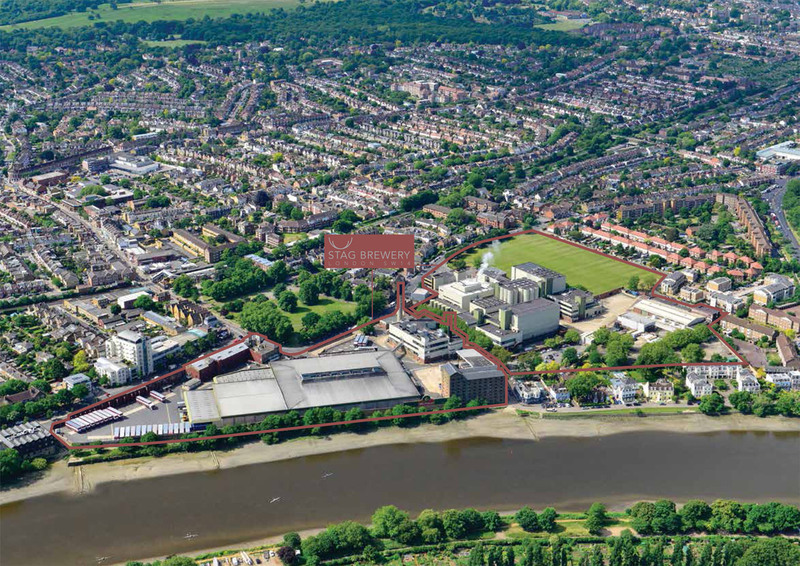 A prime freehold riverside site in the London Borough of Richmond, occupying 4.45 acres adjoining the River Thames and the famous Lensbury Sporting Club with its world class sporting facilities. 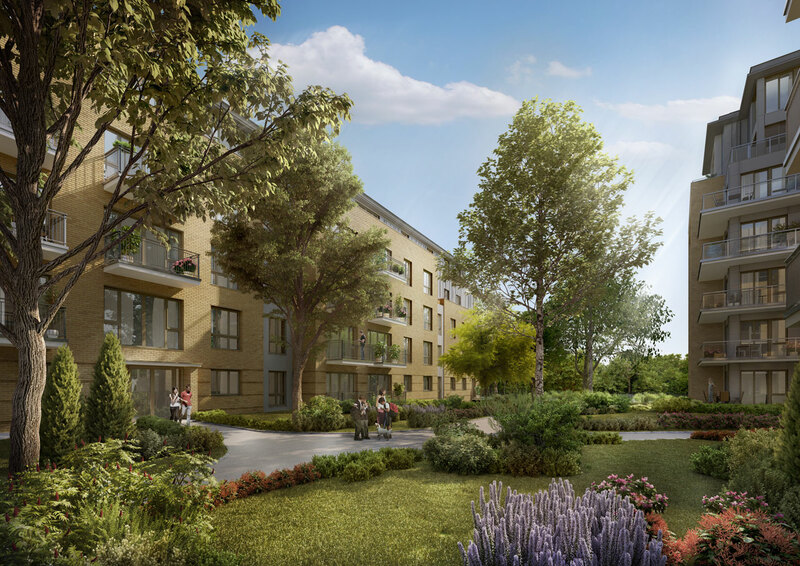 The finished development will comprise of 217 luxury apartments, a mix of 1,2 and 3 bedrooms with 258 secure underground car parking spaces, plus six 4 bedroom family houses. 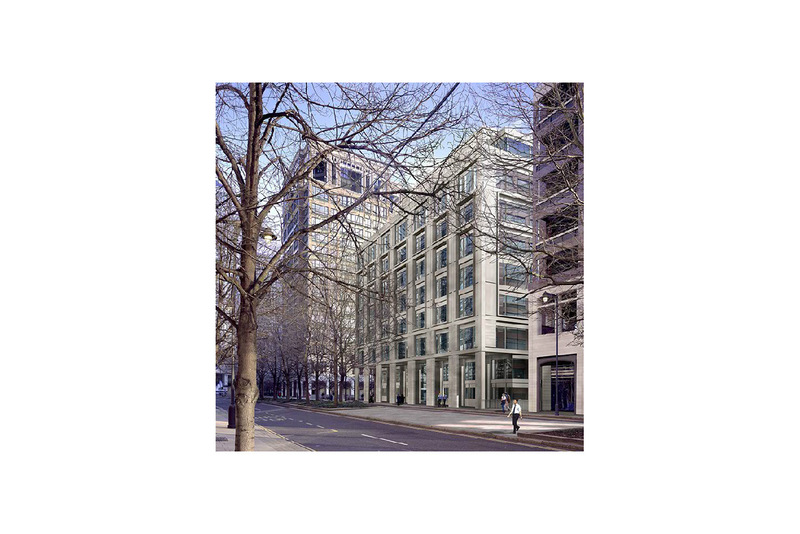 The apartments will be sold on 999 year leases with a share of the freehold. 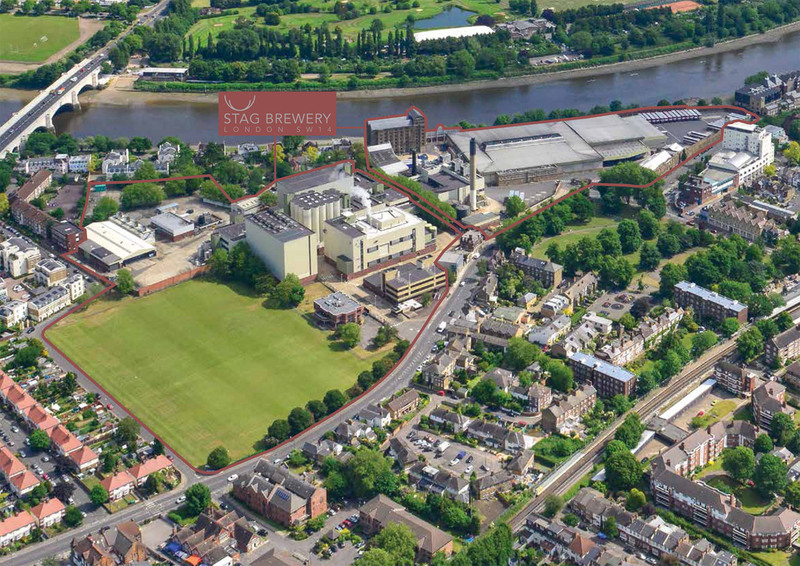 The historic Stag Brewery in Mortlake occupies a commanding location adjacent to the River Thames in the London Borough of Richmond. 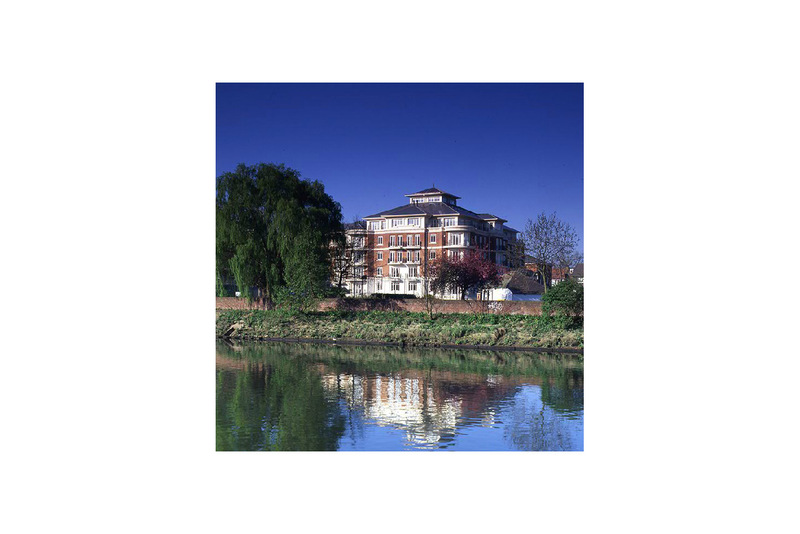 The 22 acre site has been acquired for redevelopment in accordance with an adopted planning brief which promotes the concept of mixed use scheme creating a new riverside quarter. 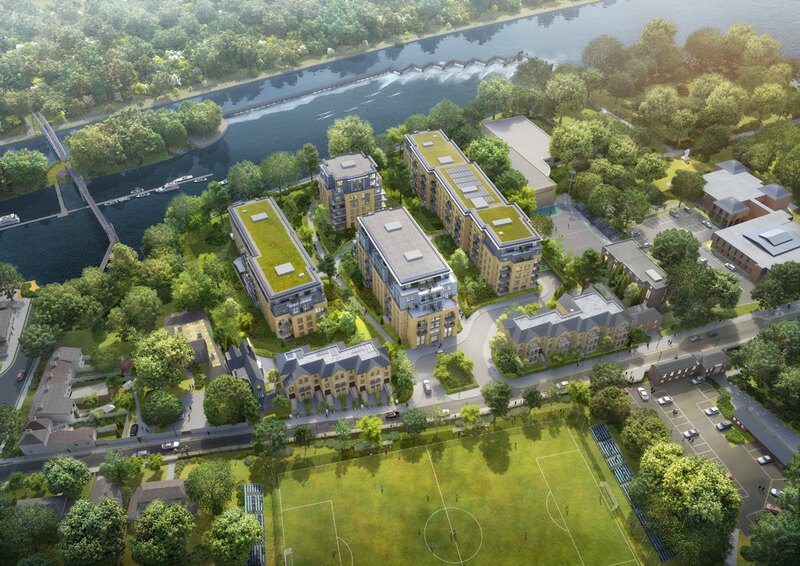 There will be educational facilities, a hotel, employment and retail uses, sports facilities, an improved access to the River Thames and a new residential quarter. 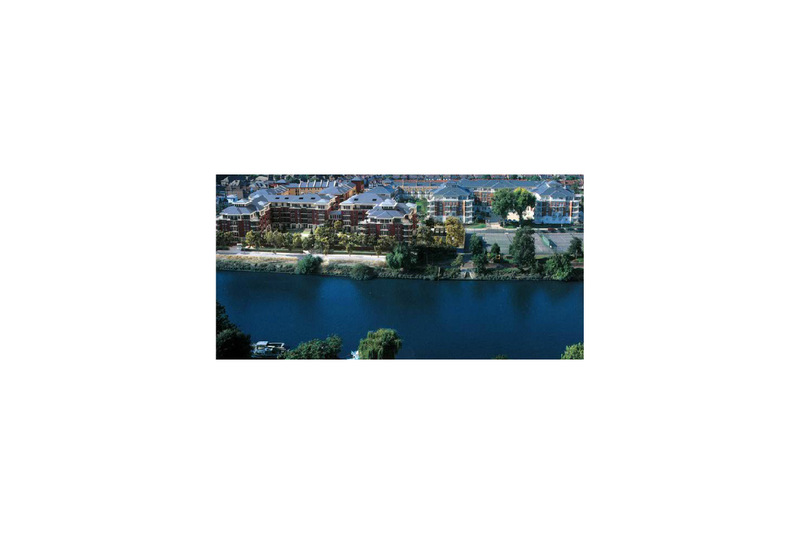 The site is extremely well connected with central London by road and rail services and it would be a bonus to use the river as a connection within the proposed scheme. 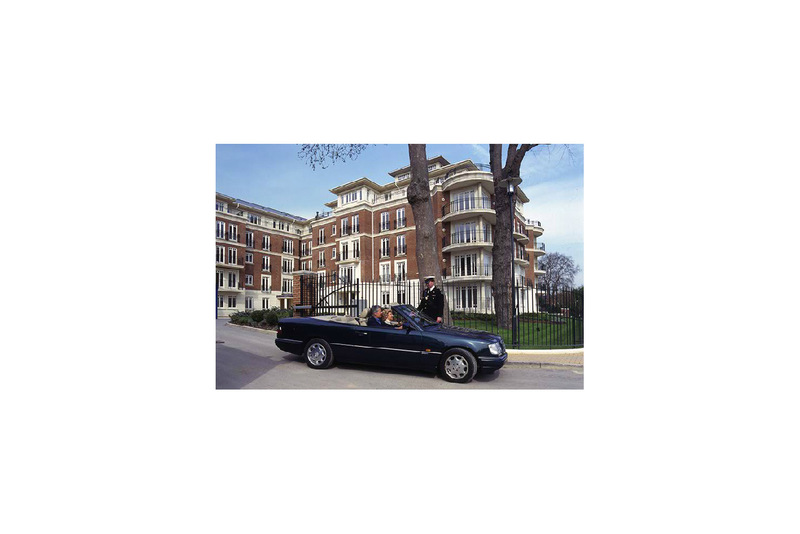 The access to Heathrow and Gatwick airports is also very rapid. 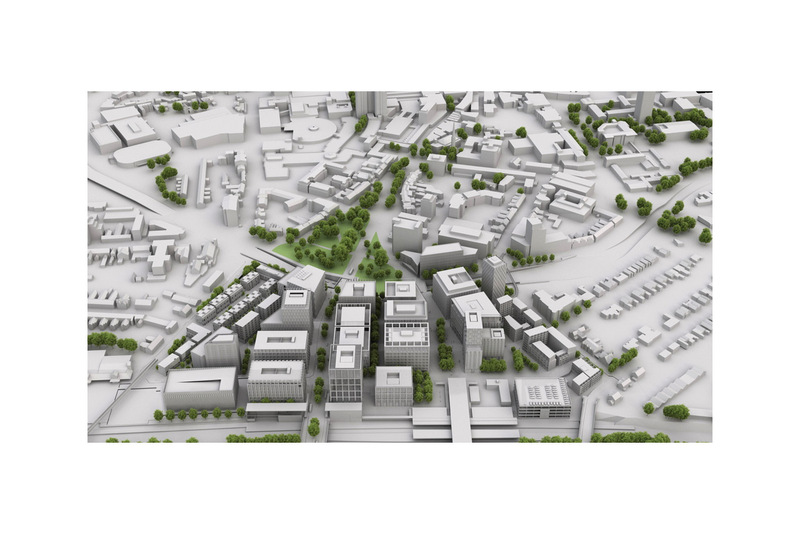 Dartmouth are progressing design and planning with a view towards the early delivery of a masterplan and phase 1 design. 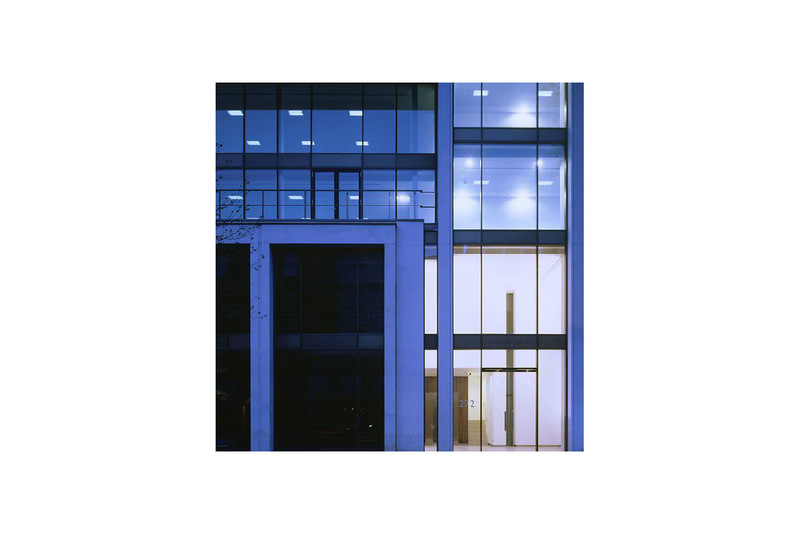 Development House is an existing six -storey office building comprising 28,266 sq ft situated in a prominent position at the corner of Leonard Street and Paul Street, south east of London's 'Silicon Roundabout', a location reputed for its desirability for tech start-ups. 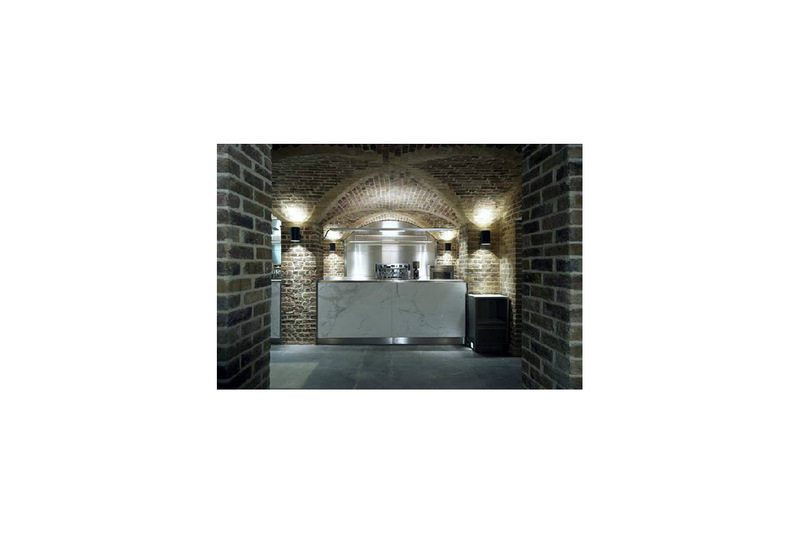 The vendors is the Ethical Property Company, a unique social business that provides workspace for the charities and not-for-profit organisations. 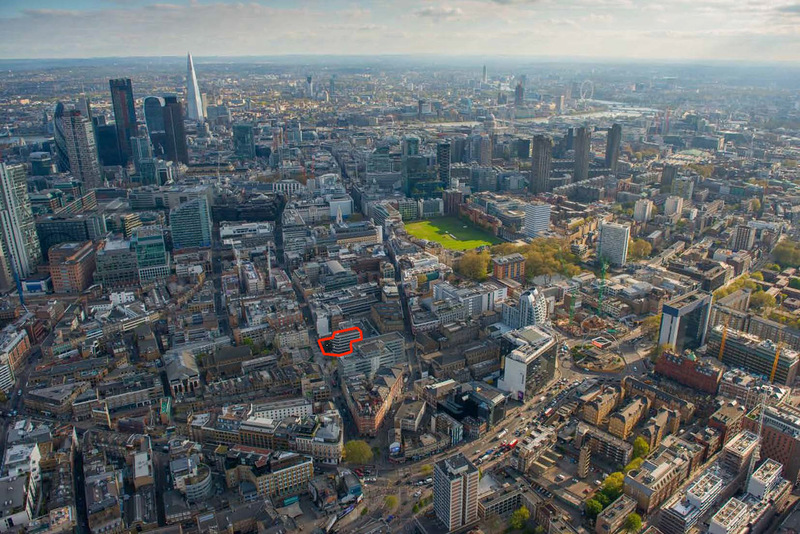 It has entered into a short-term leaseback whilst it completes the refurbishment and extension of a newly acquired office building in Bethnal Green. 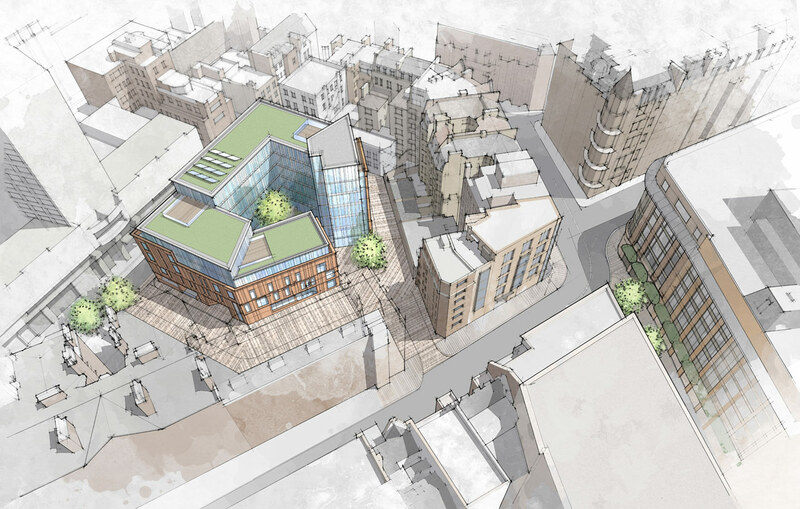 The proceeds from the sale of Development House will be re-invested in the Bethnal Green project, allowing them to support more organisations and to increase their social and environmental impact. 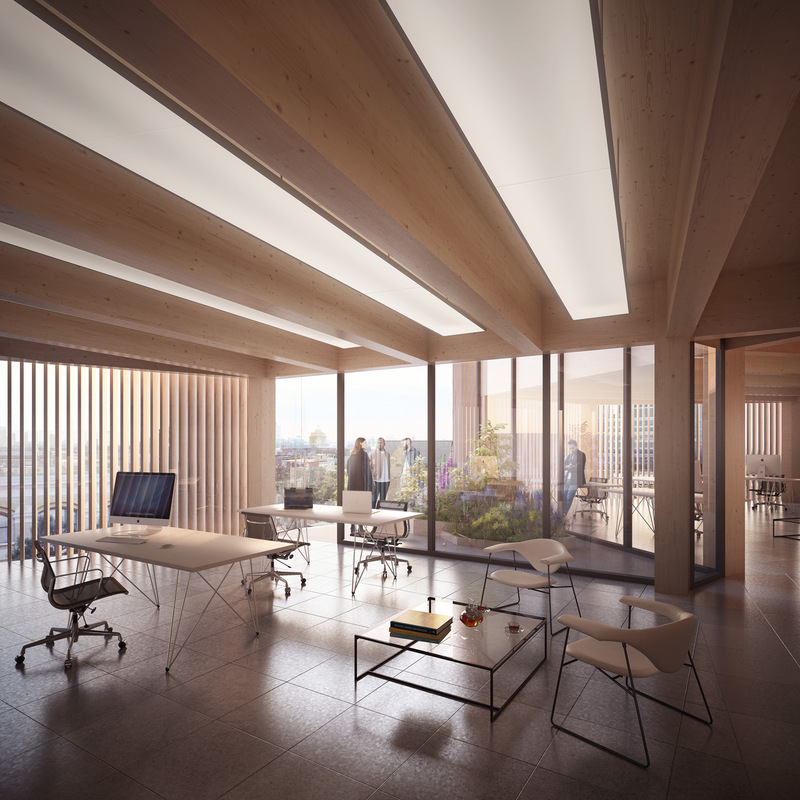 The scheme prepared by local architect Waugh Thiselton is for an impressive new office development of circa 90,000 sq ft which will include ancillary retail space at ground floor level. 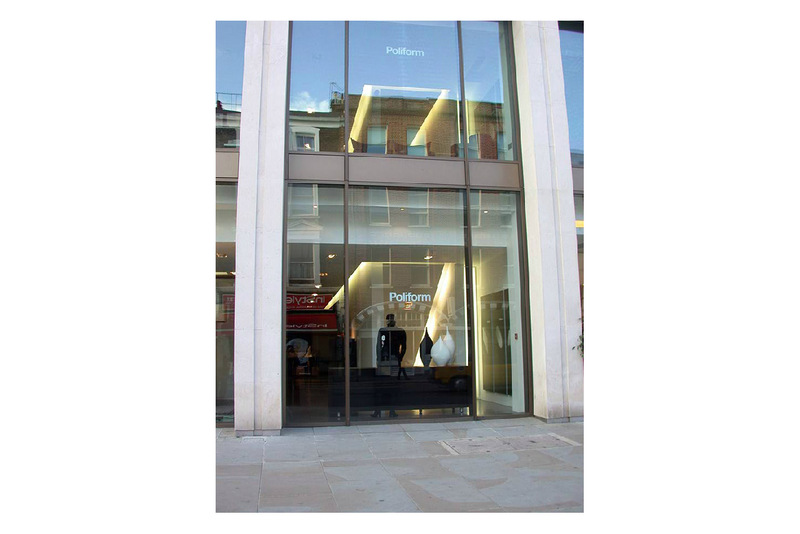 The Shoreditch area is at the heart of the Technology, Media and Telecoms sector and enjoys demand for offices, particularly for unique buildings, and is a market with limited supply. 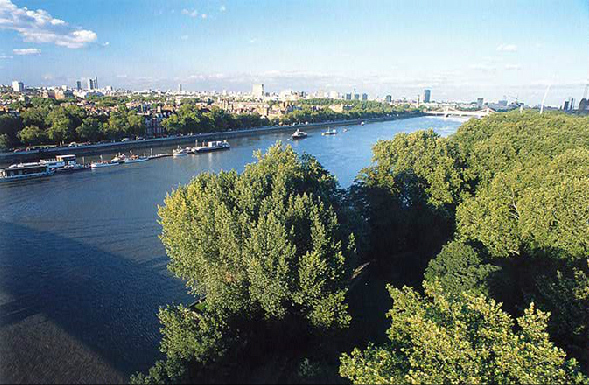 This 1.6 acre site is situated on the South Bank of the River Thames adjacent to Albert Bridge. 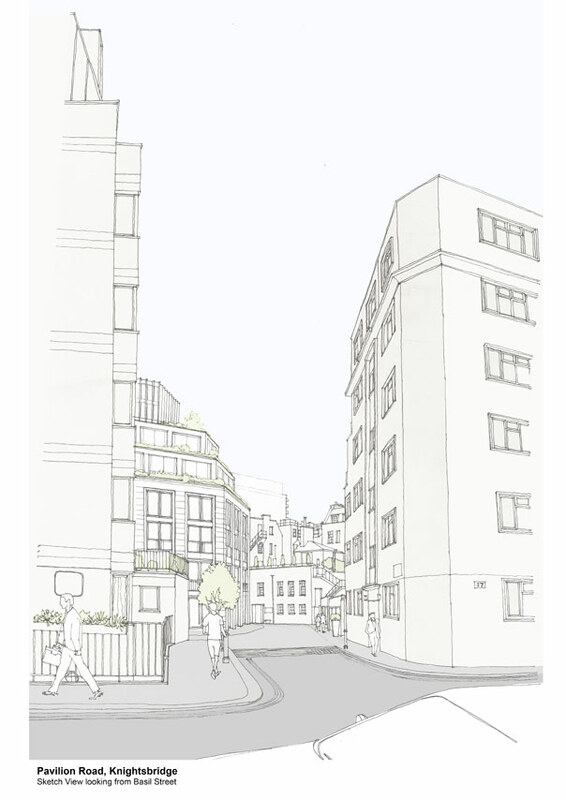 Planning permission has been granted for 118 apartments including 24 affordable houses, eight commercial units totaling 21,980 sq ft at ground and lower ground floors and 103 underground car parking spaces. 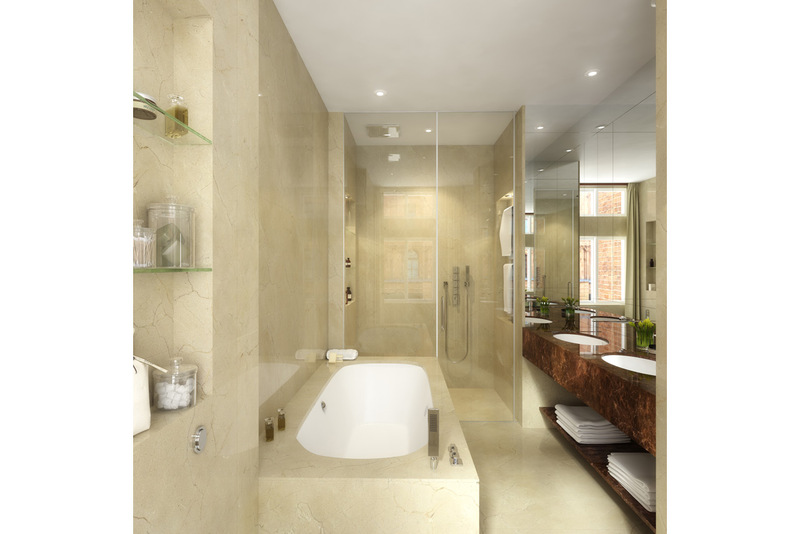 The development comprises six residential buildings of up to 10 storeys with a mix of 1,2,3 and 4 bedroom apartments. 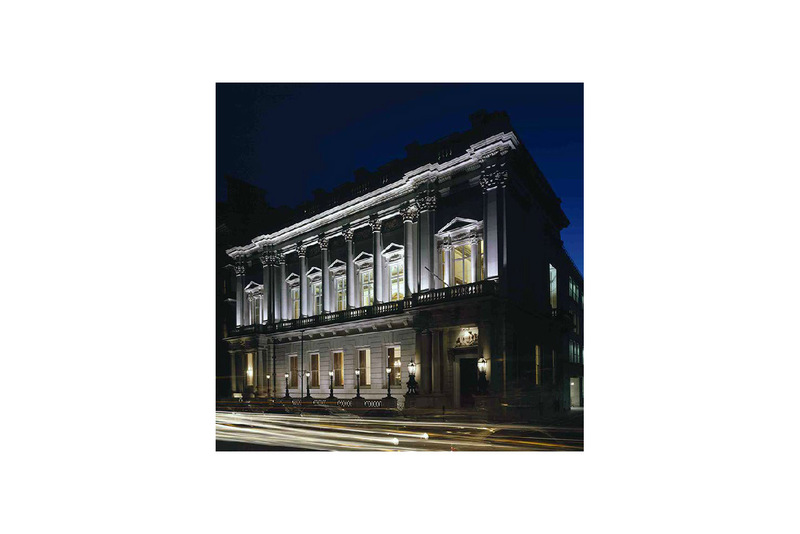 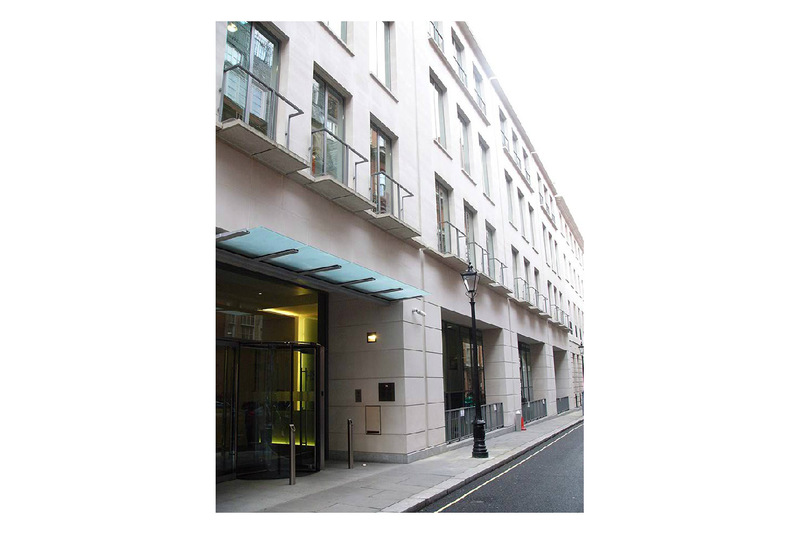 The Directors of Dartmouth Capital advised the client on the acquisition of 78 St James's Street and continued as the planning advisors, development advisors and project managers securing a pre let to HSBC Bank plc for a state­ of­ the art office building totalling 170,00 sq ft gross. 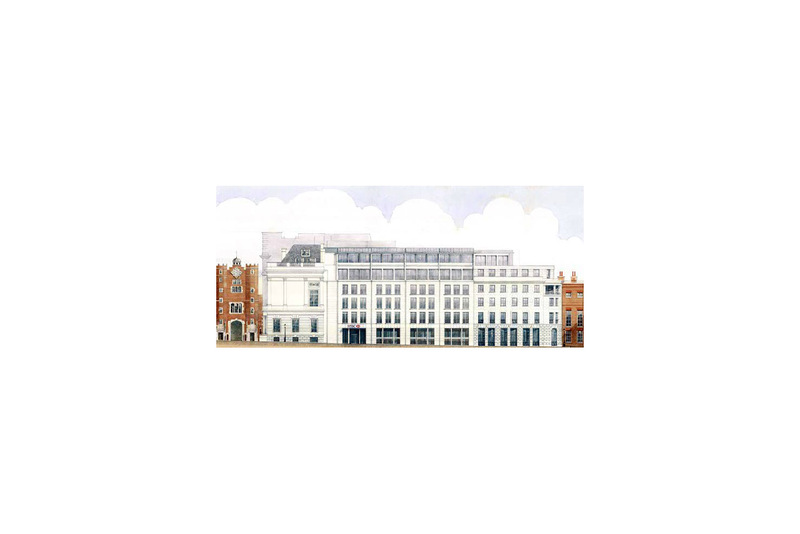 The Grade II Listing presented distinct design challenges and tremendous opportunities accomplished in large measure by the introduction of a full height atrium providing an interface between the historic and the contemporary structures. 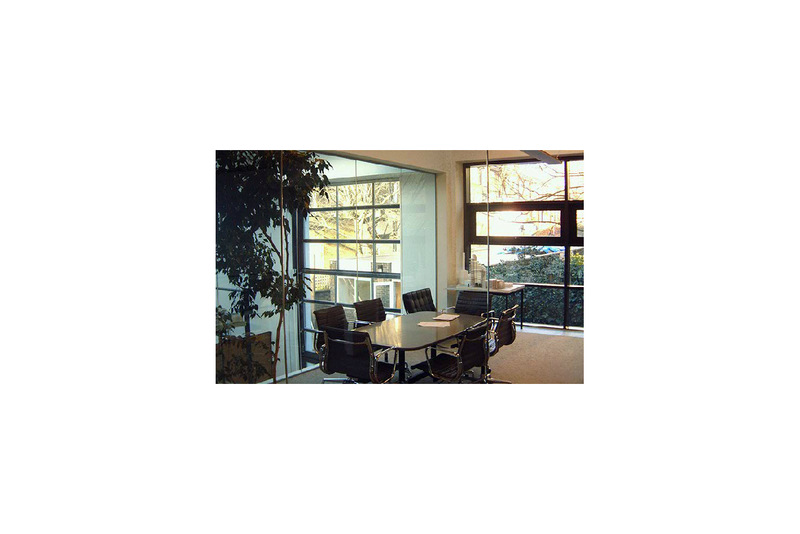 The atrium allows for views from each building onto the other. 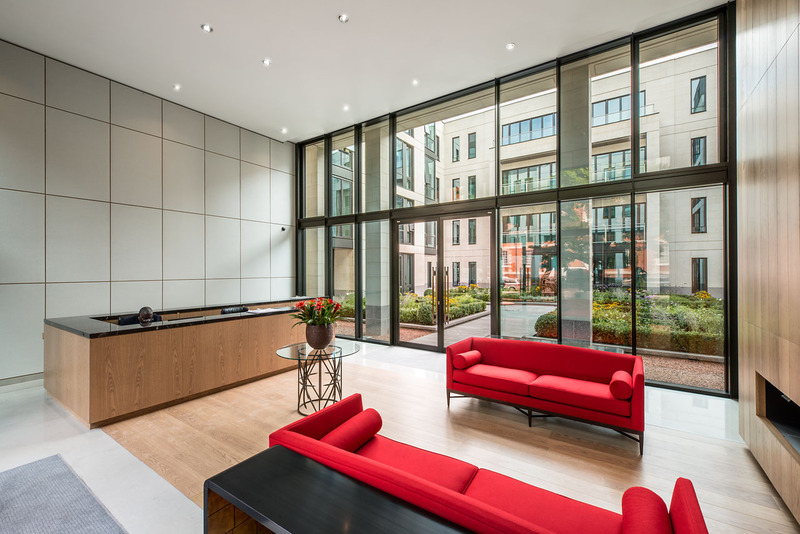 The sumptuous historic interior can be glimpsed from glass lifts that rise up through the atrium. 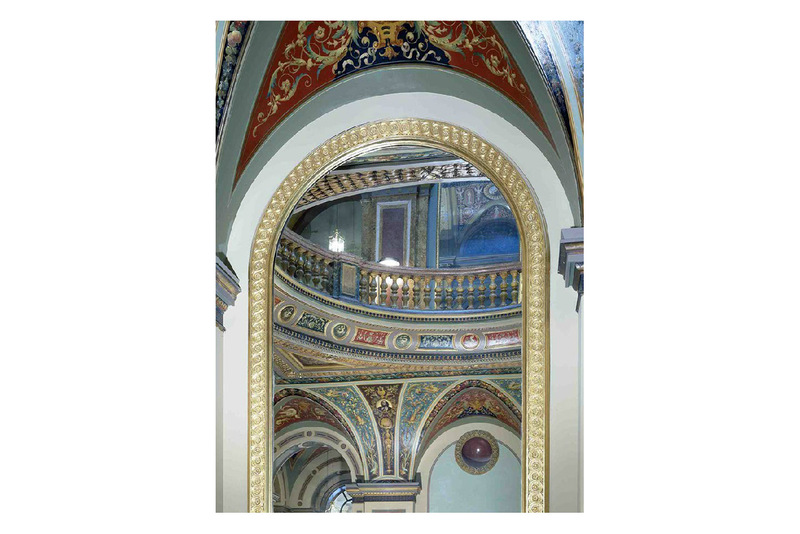 Painstaking restoration work was undertaken to the historic mosaic floors, ceiling paintings and the exquisite detailing of the Grade II* Listed Building. 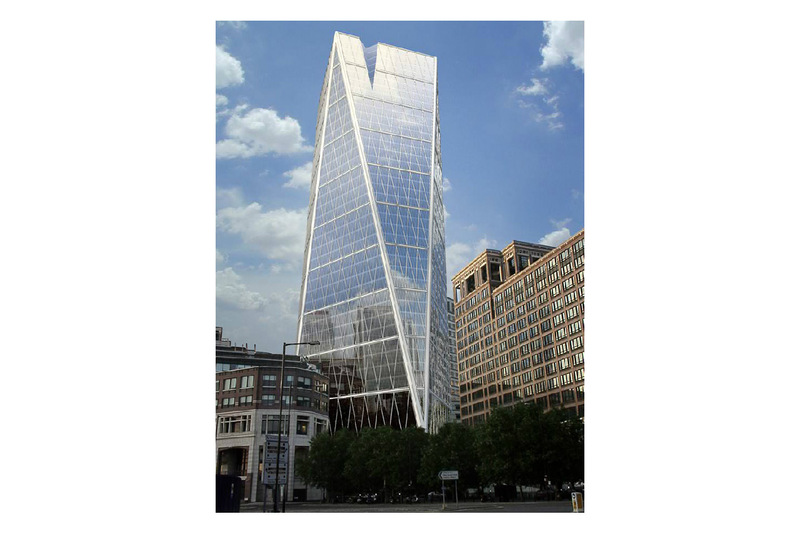 The Directors of Dartmouth advised on the acquisition of this 36,000 sq ft office investment in Canary Wharf. 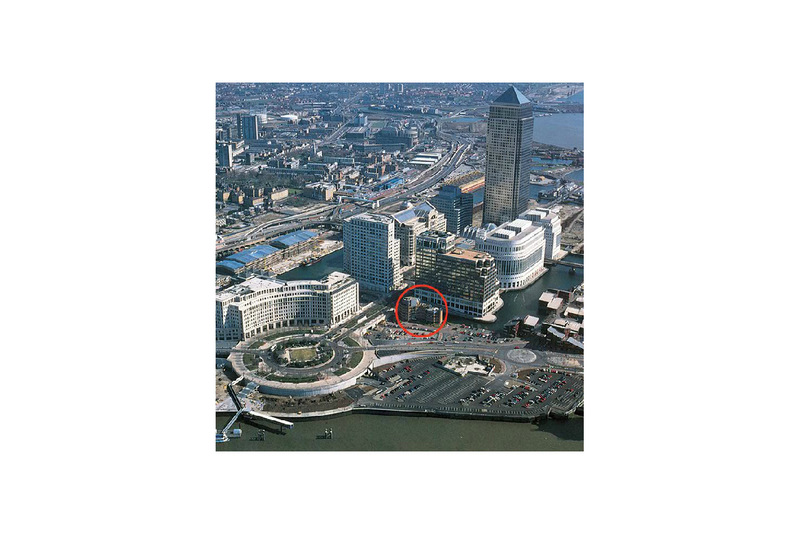 The building was located immediately off West Ferry Circus by the Morgan Stanley European Headquarters. 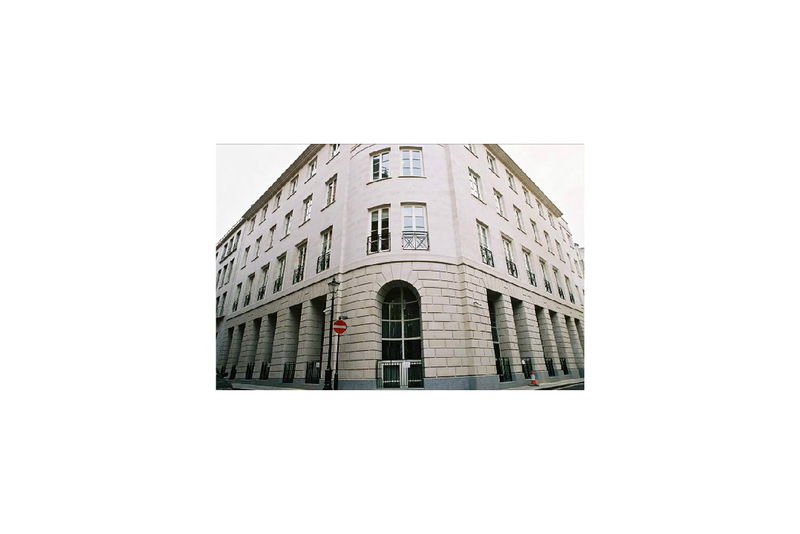 An ideal location within a key financial district for international corporations. 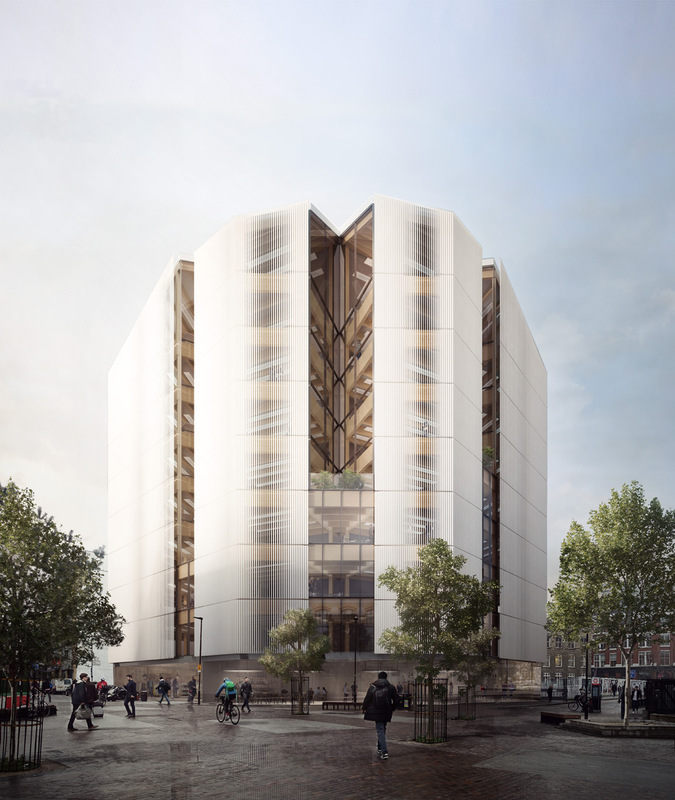 A planning consent was negotiated for a scheme to provide a 275,000 sq ft office development and with the able assistance Squire & Partners architects drew up proposals for larger schemes of up to 800,000 sq ft of offices. 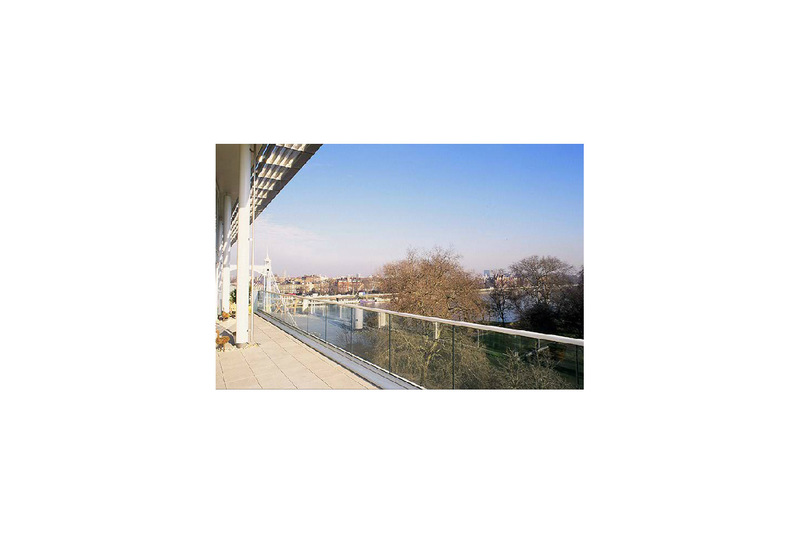 Richmond Bridge is one of Greater London's most exclusive residential communities with 268 luxury townhouses and apartments located by the River Thames in the London Borough of Richmond. 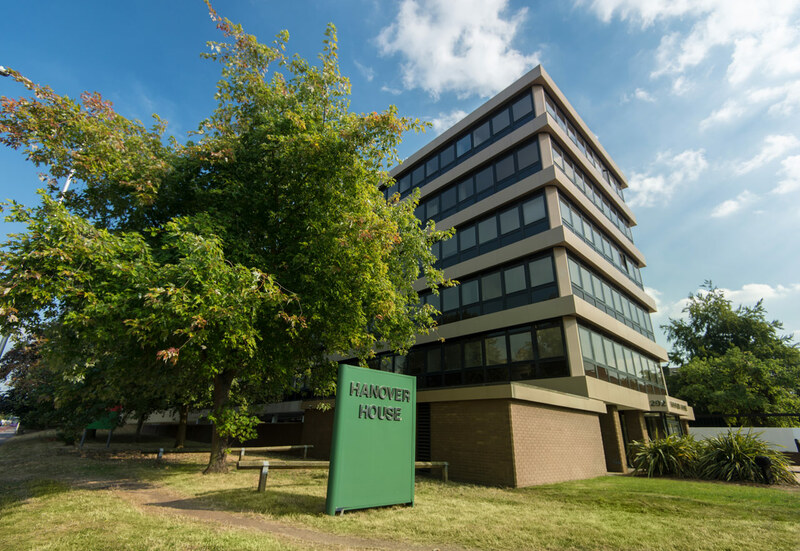 The Directors of Dartmouth advised on the acquisition of the property and continued as planning advisor, development advisor and project manager, overseeing its development and completion. 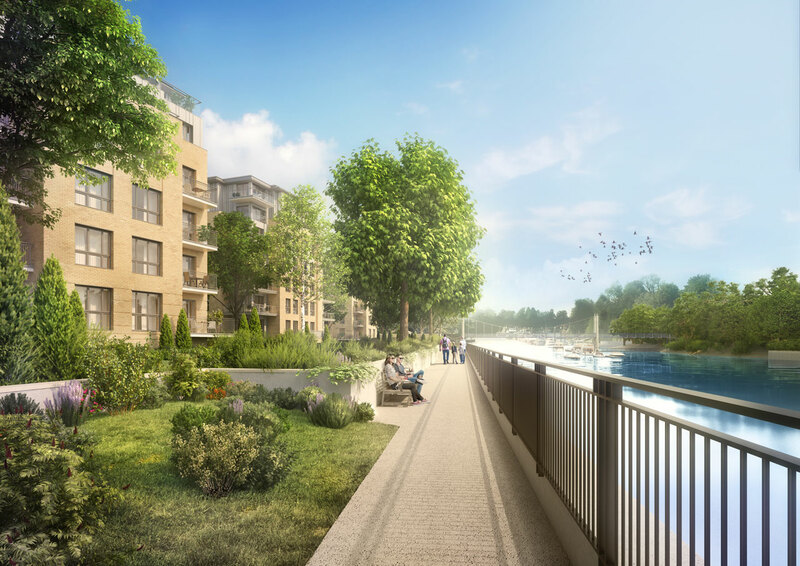 The master plan for the Richmond Bridge community was conceived to complement the riverscape as naturally as possible by Hamilton Architects. 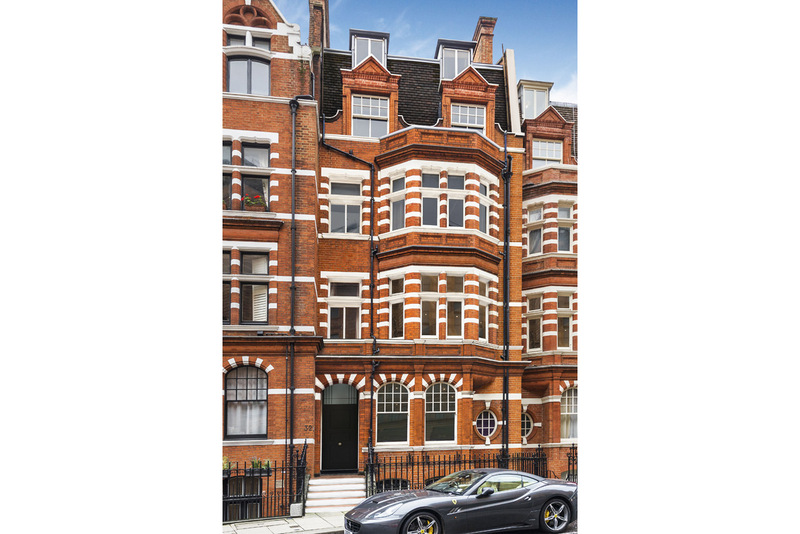 With an elegant brick and stucco façade, it successfully impresses as a traditional estate nestled into idyllic surroundings. 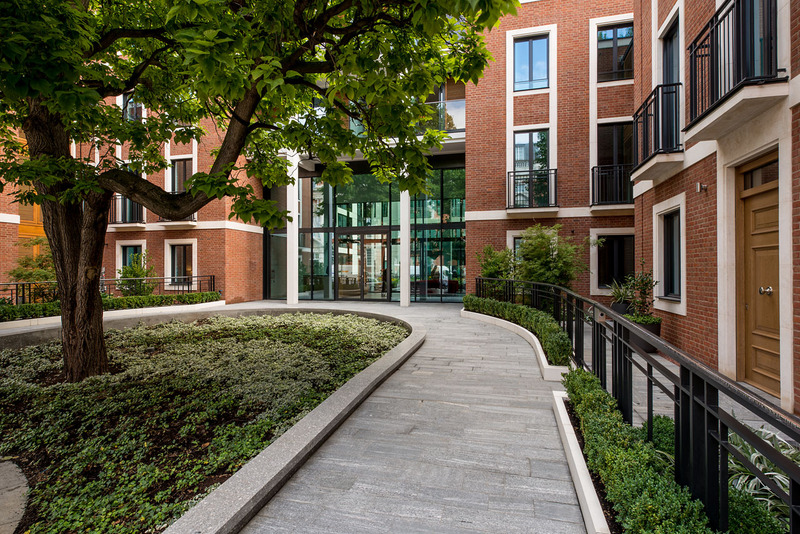 Winning numerous awards, including one for its landscaping, it is widely considered to be one of London's most prestigious and admired riverside developments. 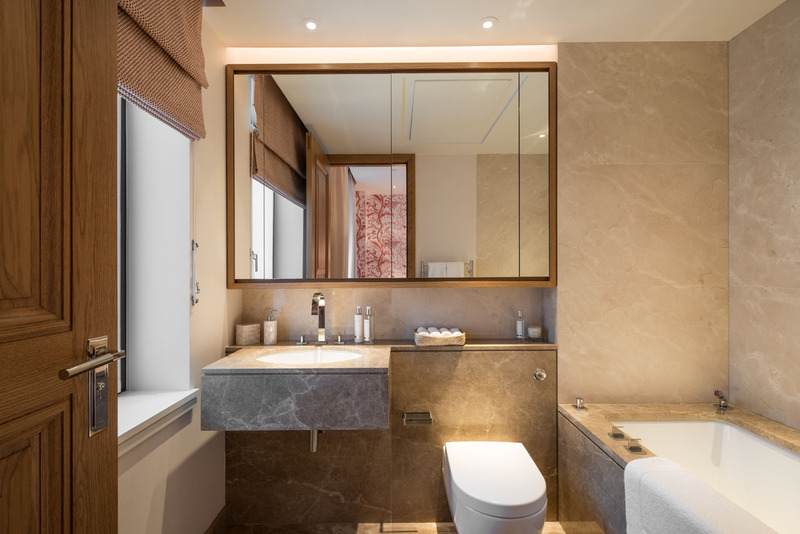 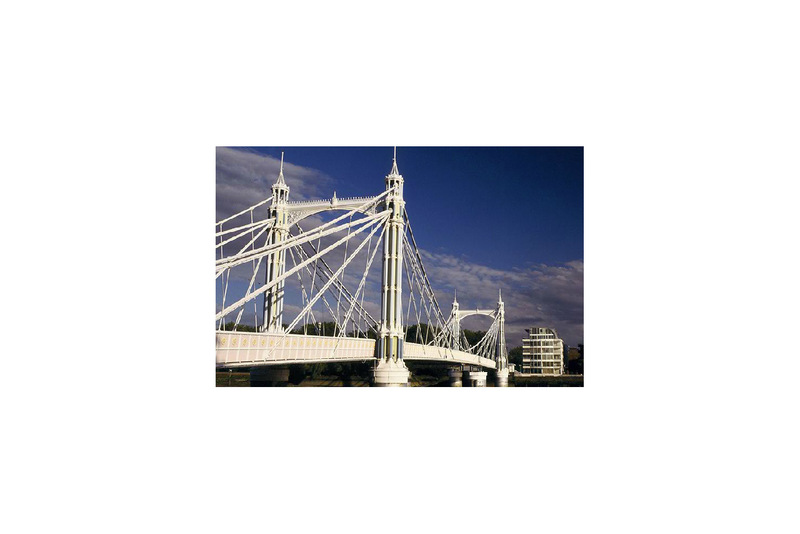 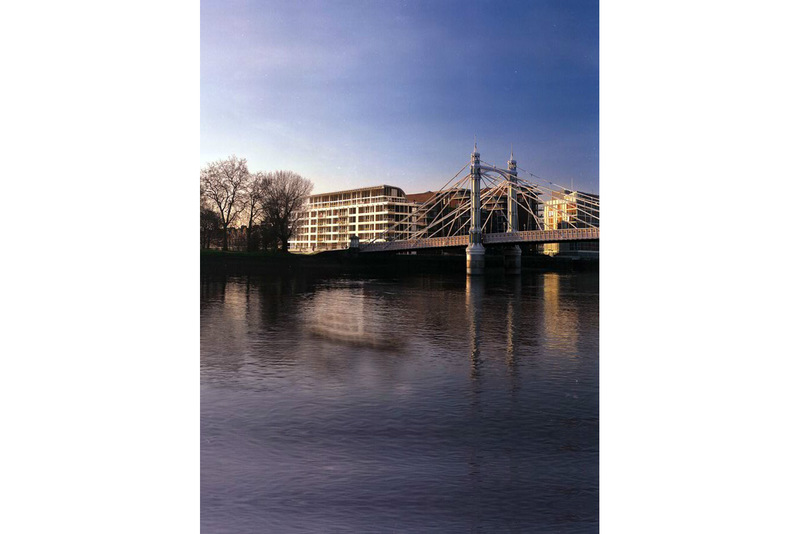 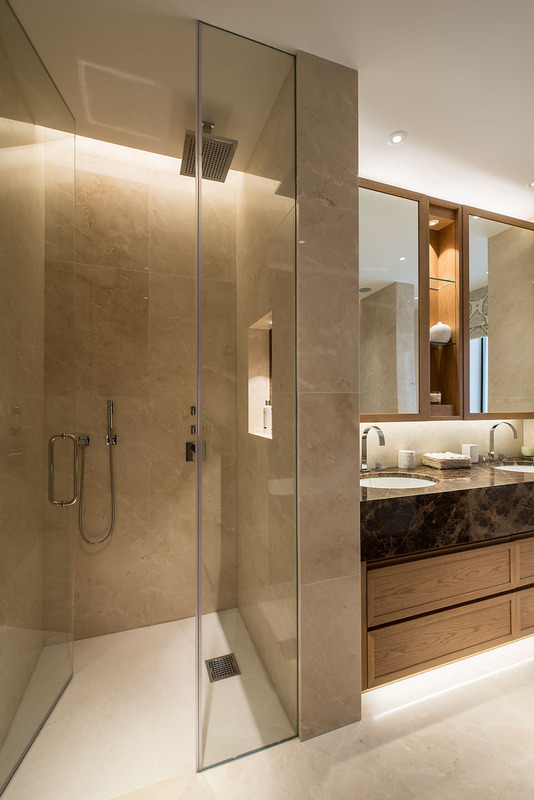 Albert Bridge House on the River Thames is a luxury residential devlopment comprising 32 luxury apartments, which enjoy the most outstanding views across the river and into Battersea Park. 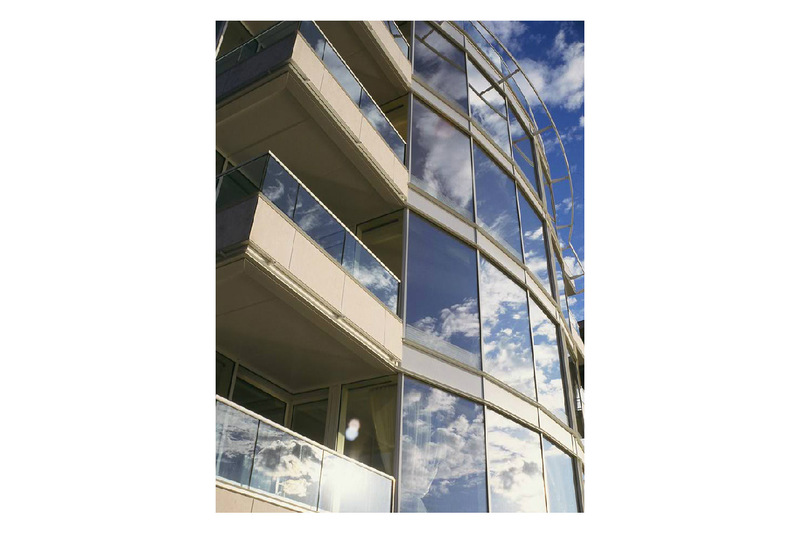 Designed by architects, Auketts, this contemporary steel and glass structure with its gentle curves and set back upper floors creates terraces for the four penthouses ­ some of the most sought after in London. 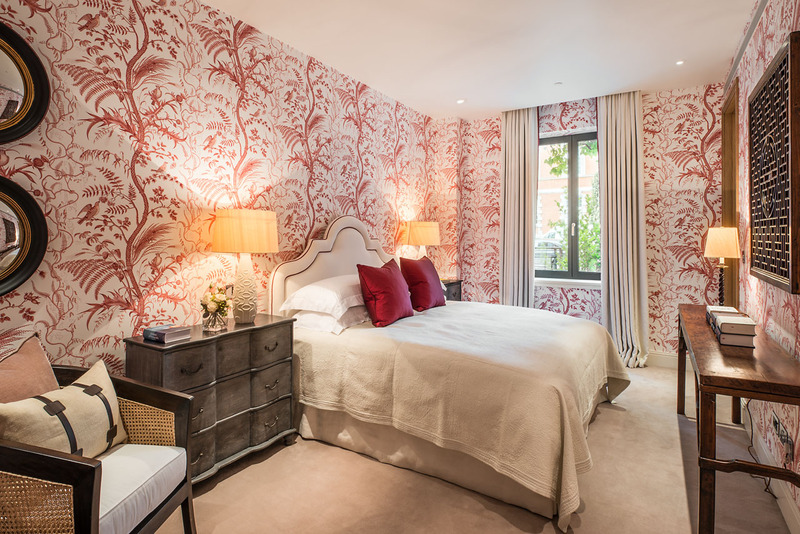 College House on the King's Road in Chelsea sits in the heart of a one of the UK's prime residential districts and along a mile of uninterrupted world class shopping and entertainment. 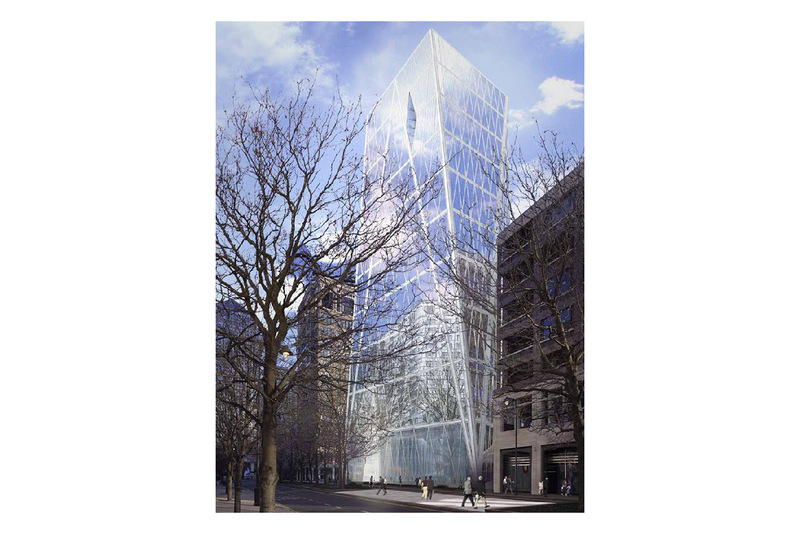 Winning a Civic Design Award, the striking flagship 40,000 sq ft retail and office building of bronze and glass with bold contemporary lines was designed by architects, Squire & Partners. 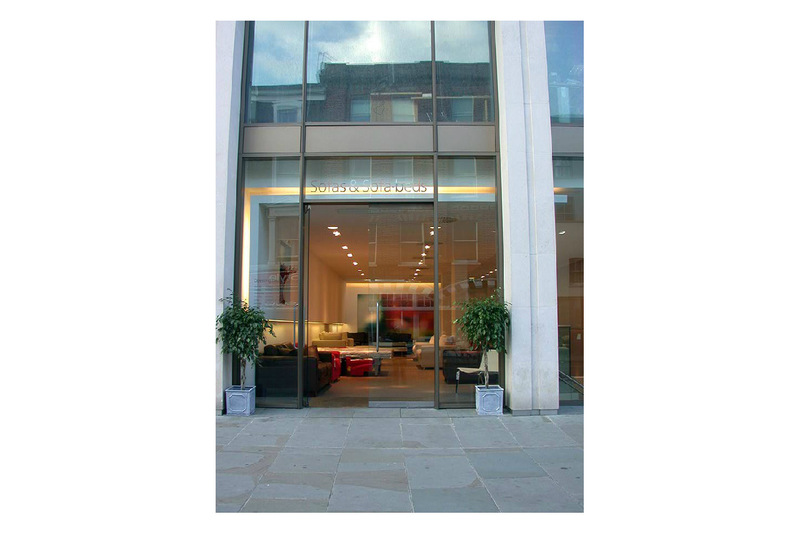 Finished to high specifications it is graced with limestone cladding accents, a prestigious double height entrance hall and floor to ceiling windows set within bronze frames. 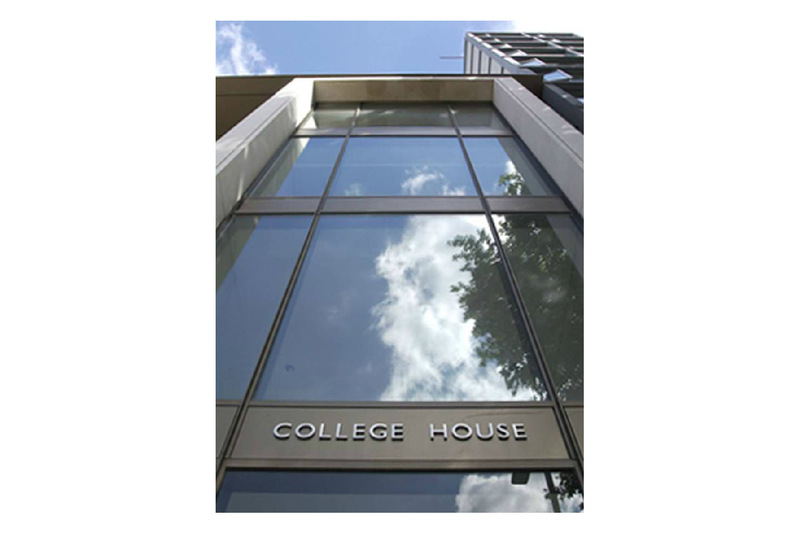 On behalf of the client the directors of Dartmouth acted as planning and development adviser on the construction of College House. 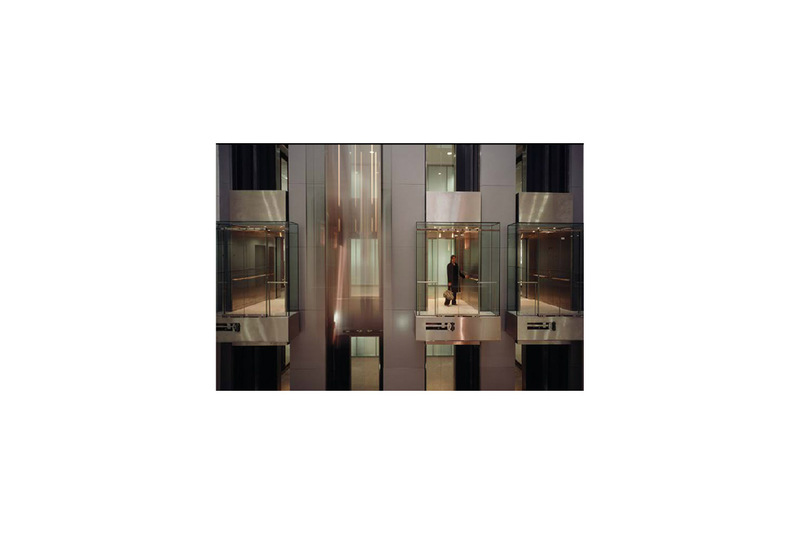 Each floor provides approximately 45,000 sq ft of Grade A office accommodation and offers the flexibility to subdivide the floors into smaller suites. 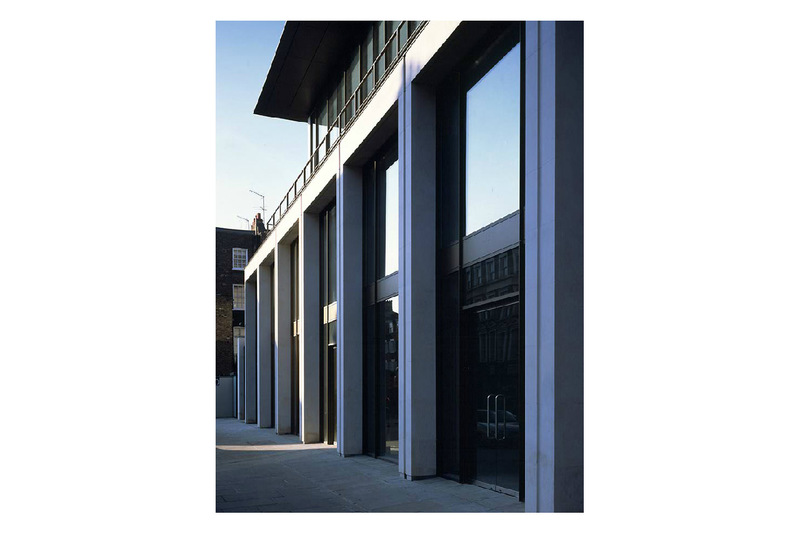 This flexibility, together with ideal location and elegant aesthetics, led to the immediately successful record letting of this building. 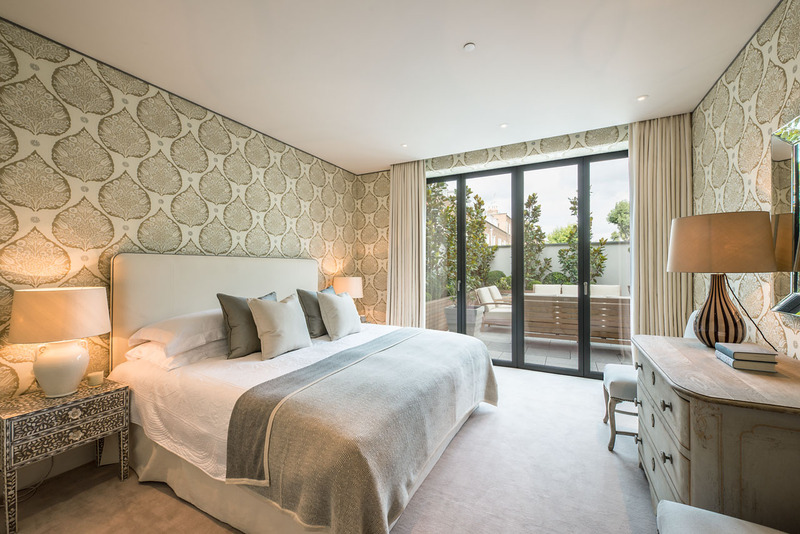 The Directors of Dartmouth developed Palace Chambers as five stylish apartments and a duplex penthouse, all with outstanding views over St James's Palace and St James's Park in the heart of this historical area of West London. 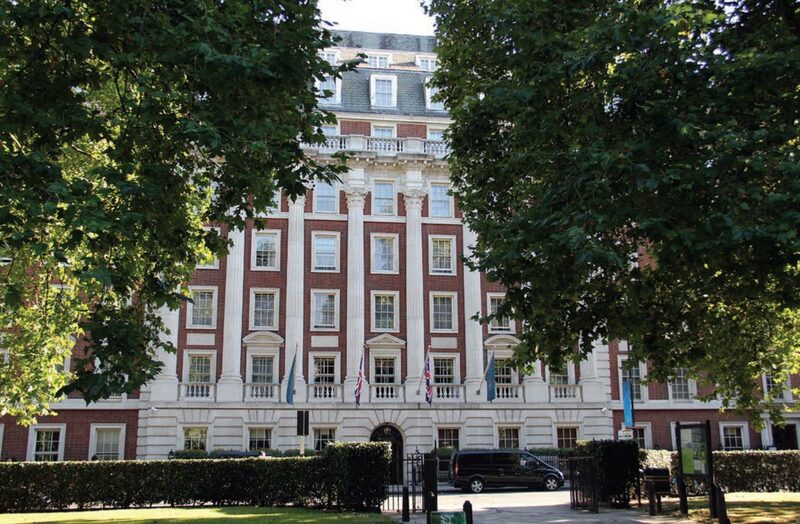 One of London's finest addresses. 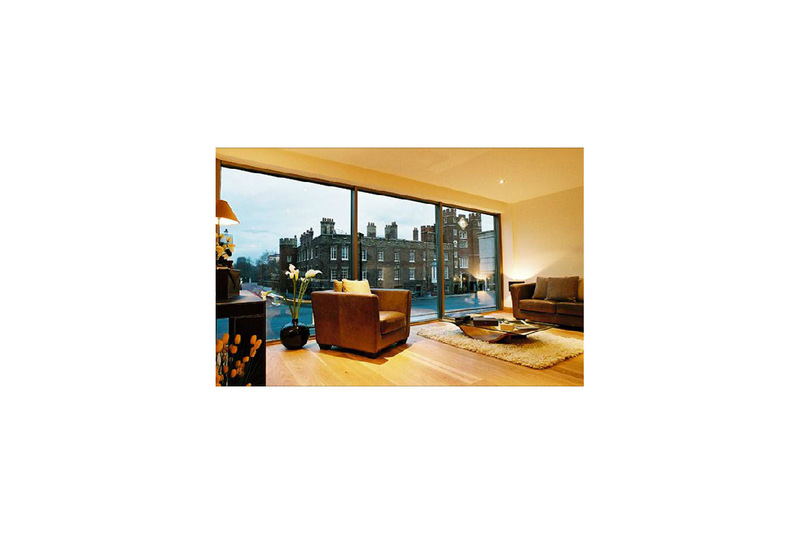 The spectacular views are dominated by the Tudor gateway of St James's Palace. 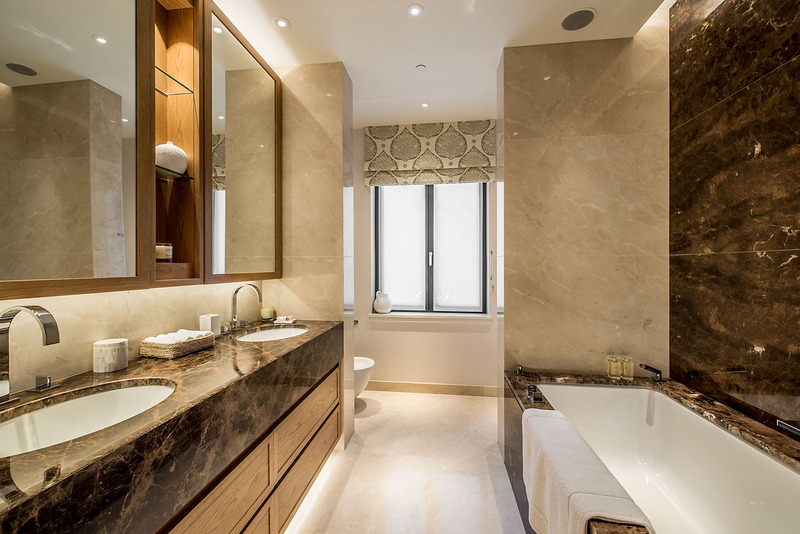 The clients remodelled the office building into luxury apartments, created large, south facing reception rooms in this chic and ultra modern development, and equipped and finished each apartment to the highest standard of comfort and security. 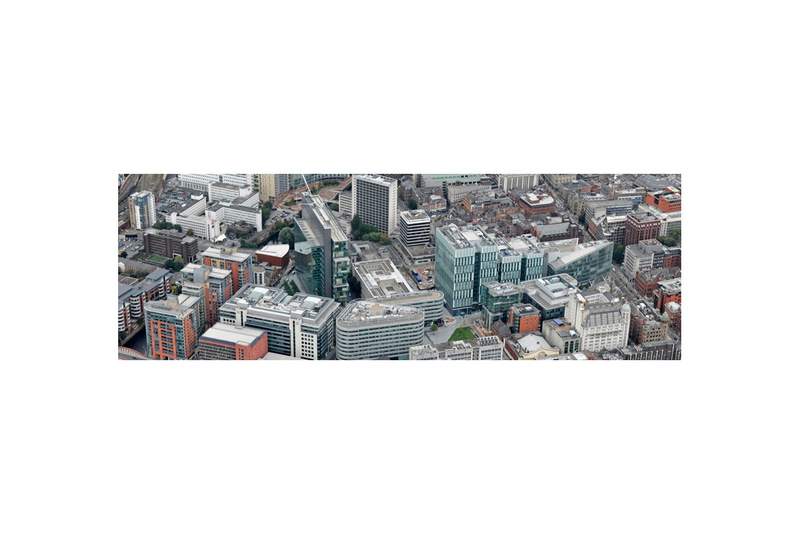 1998 to 2003 – Stephen Reynolds acted as a consultant to Allied London Properties plc helping to initiate and manage this important new business district for Manchester. 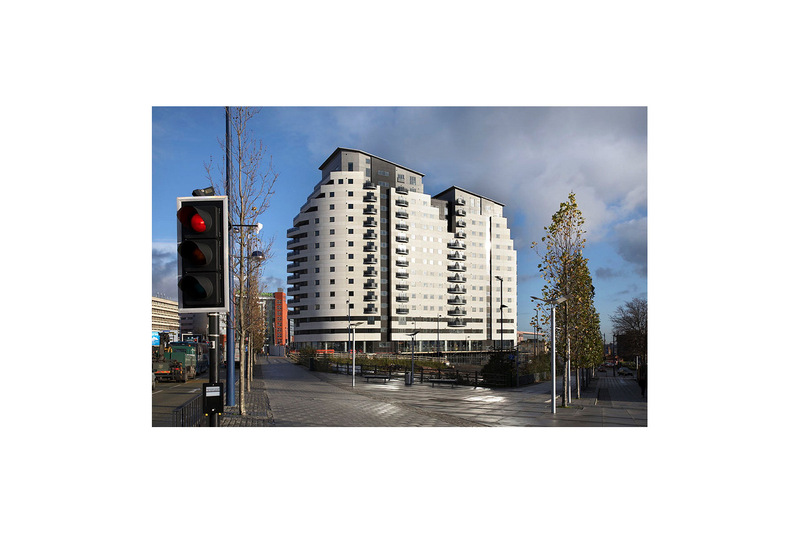 2005 to 2010 – acting for the Masshouse joint venture, Stephen Reynolds provided development management services during the early phases of development until the project could be restructured. 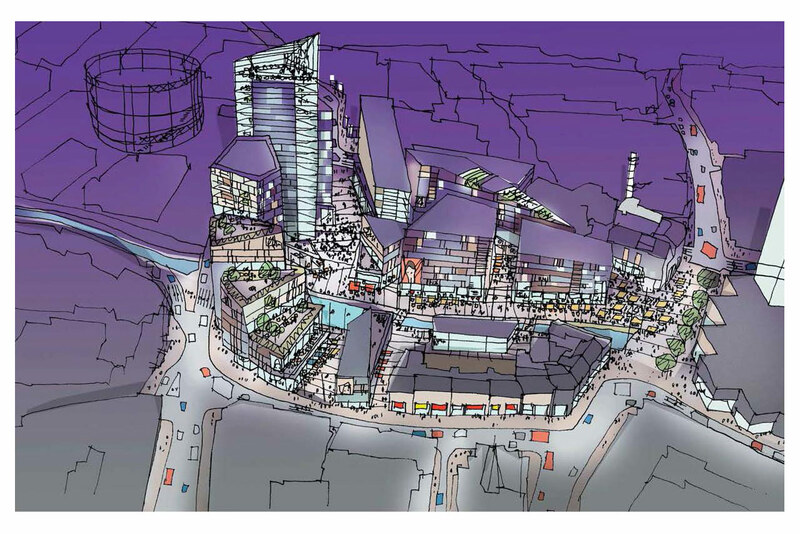 2009 onwards – acting as development director to Friargate Coventry LLP, taking the project through master planning to a proposed start on site in 2014. 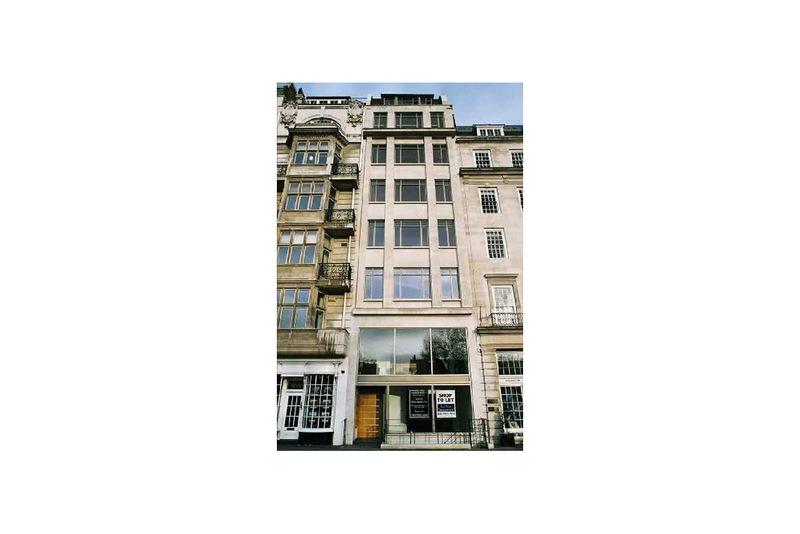 Guy Duckworth advised Young & Co.'s Brewery, P.L.C. 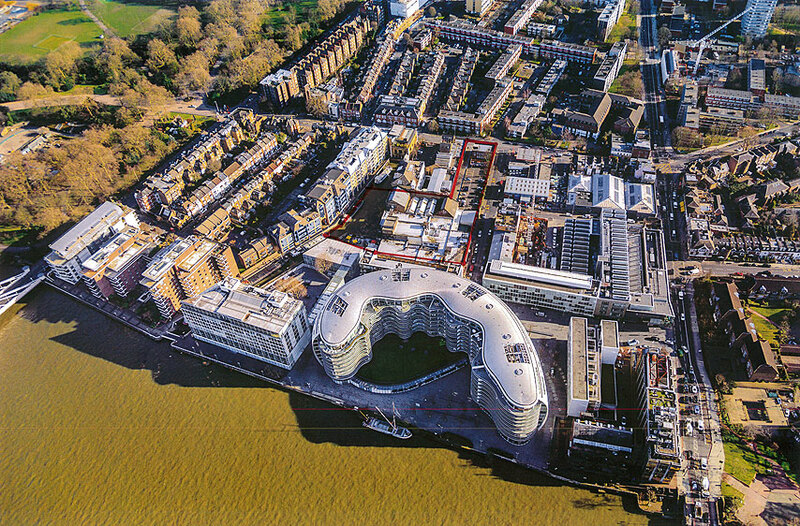 on the masterplan and relocation of the Brewery from their 8 acre island site in Wandsworth and upon the consequent redevelopment of Wandsworth Town Centre. 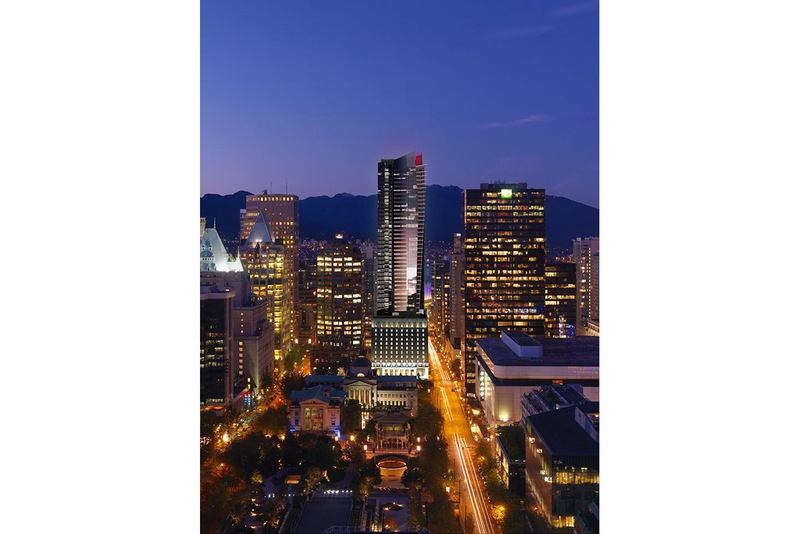 Dartmouth Directors advised on the $495m construction and restoration and rebuilding of Hotel Georgia and the adjoining brand new luxury 50 storey residential tower, now recognised as one of Vancouver's central landmarks.The newly completed six star hotel is let to Rosewood and has been voted the number one hotel in North America and is listed as one of the best 20 hotels in the world. 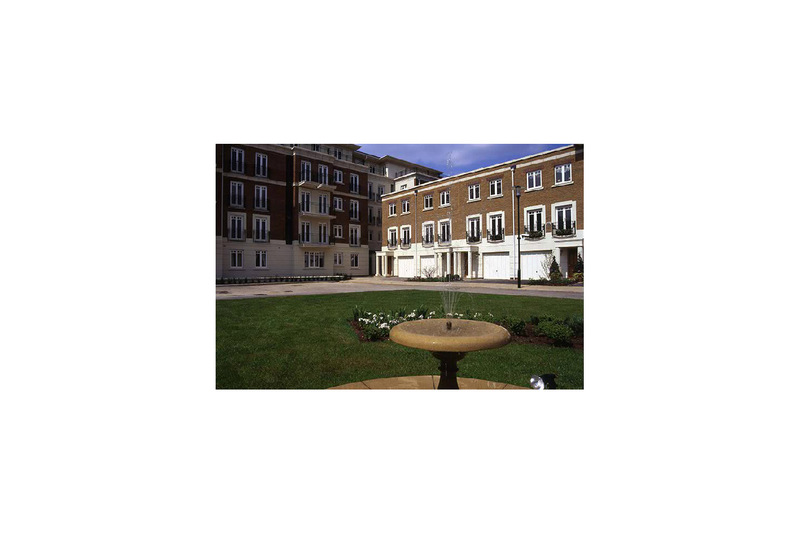 The Hotel and restaurants are retained and owned by the Delta Group. 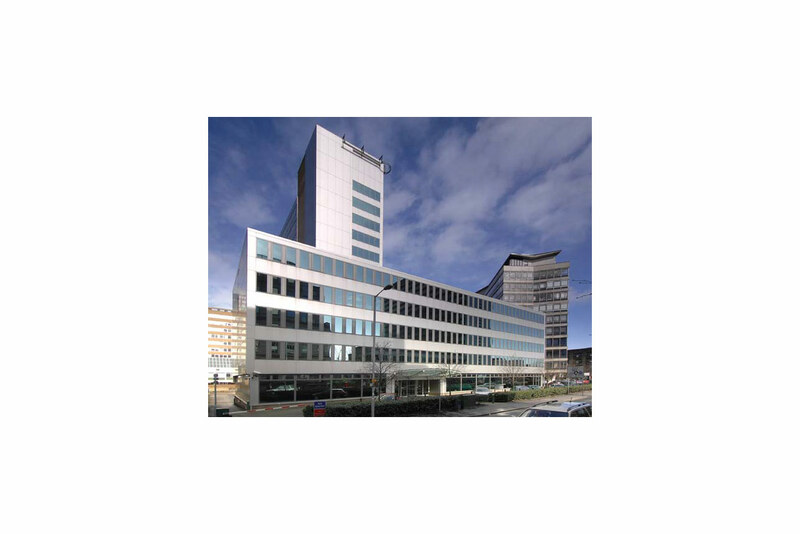 Emerald House is an 85,000 sq ft office building sitting on a one acre site in a prominent and prime position on Lansdowne Road, in the heart of Croydon. 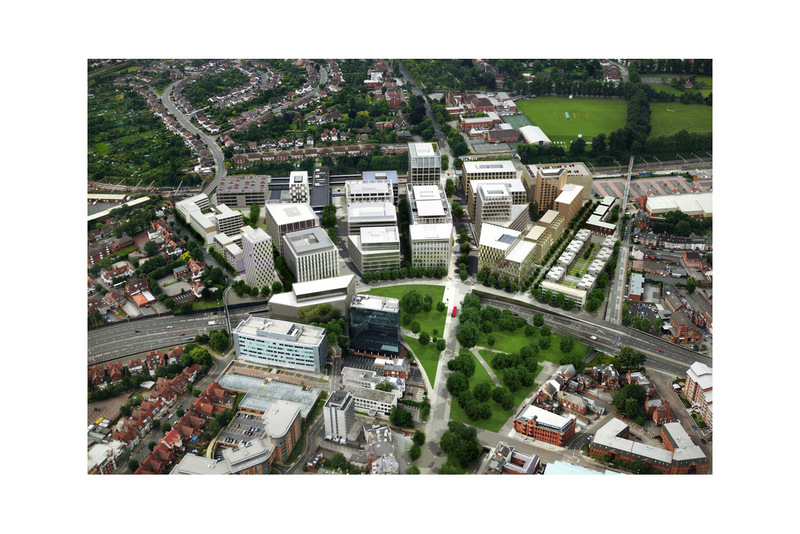 The site is located 100 metres from the new link to East Croydon Station which has a rapid and frequent rail service to Victoria, central London (16 minutes) and 50 metres from the proposed Westfield Shopping Centre. 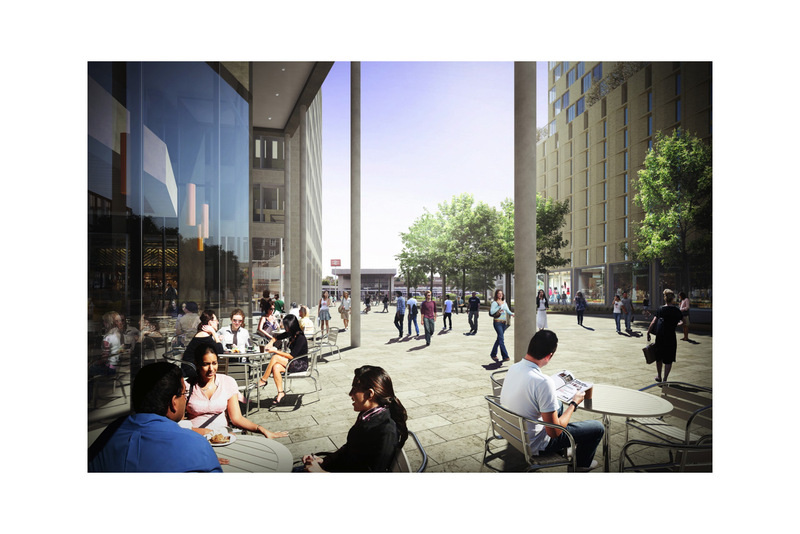 Croydon is enjoying a renaissance as both a place to live and work and it will provide a high quality of living as a close satellite to central London. 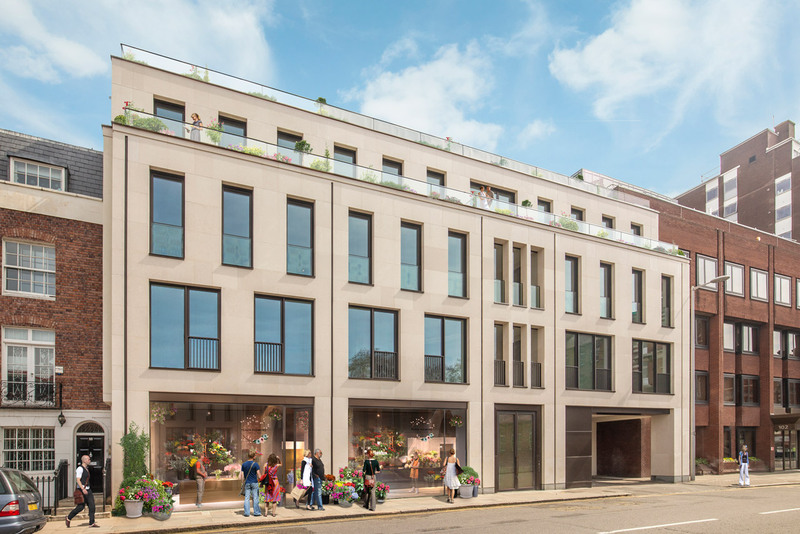 Dartmouth have secured a planning consent for the conversion of the building to form 125 apartments to be offered for sale as 1, 2 and 3 bedroom residences with secure on site car parking. 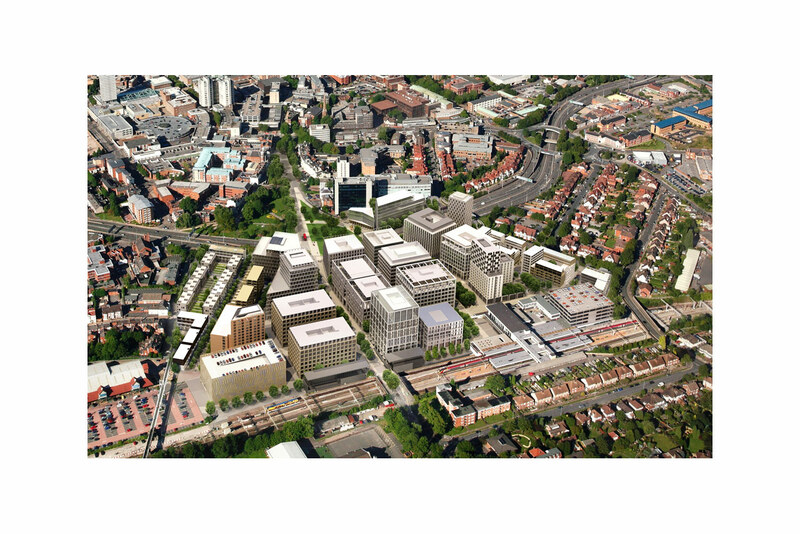 There is master plan for a significant mixed scheme development.